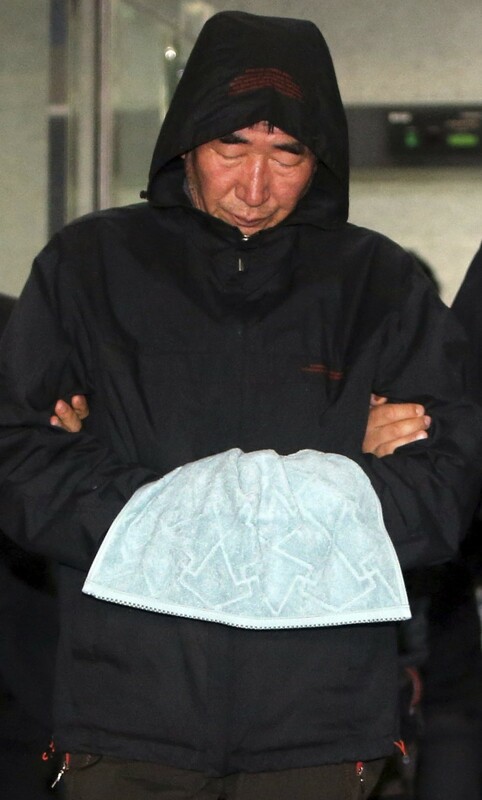 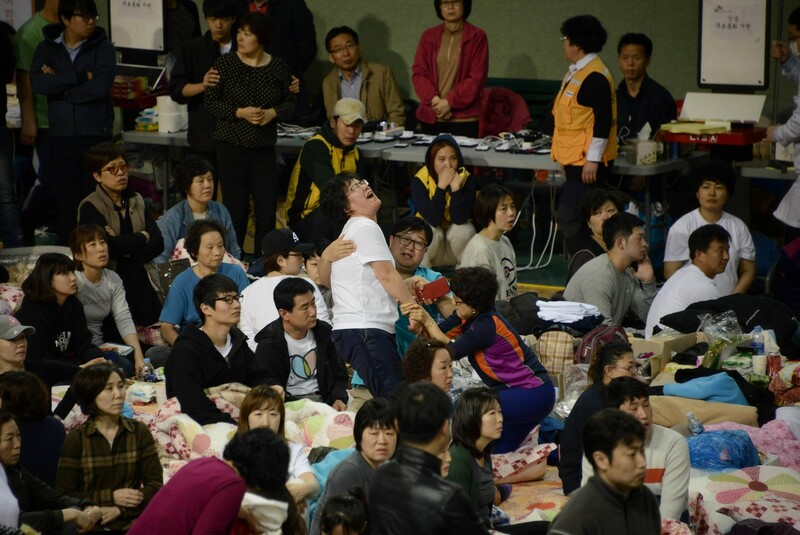 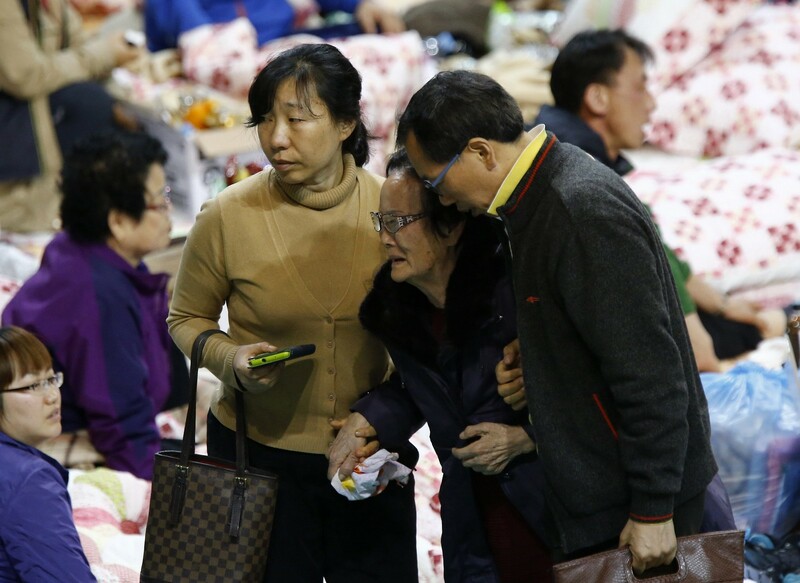 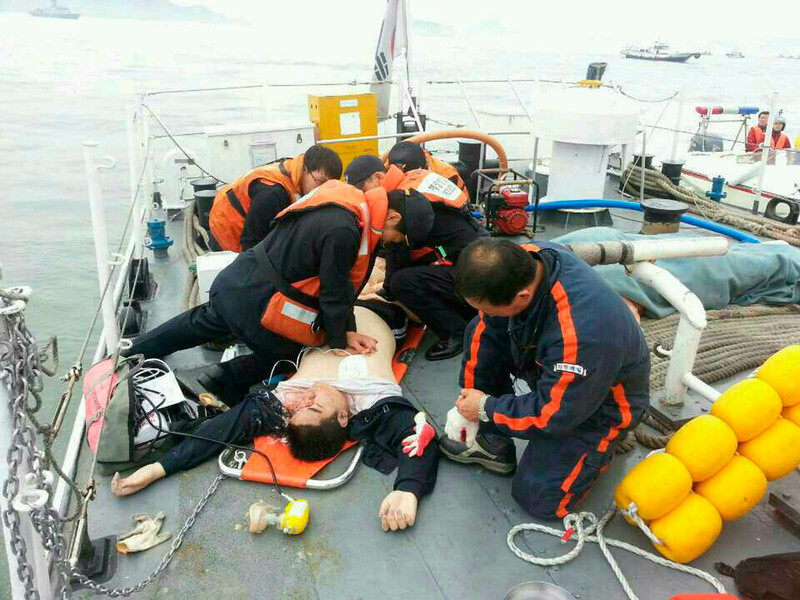 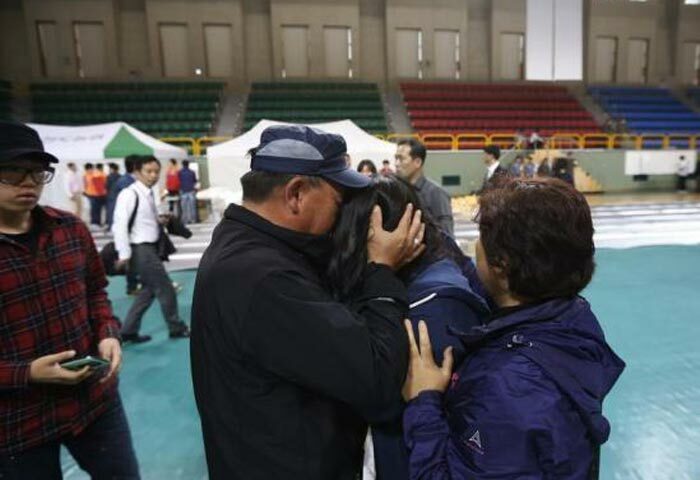 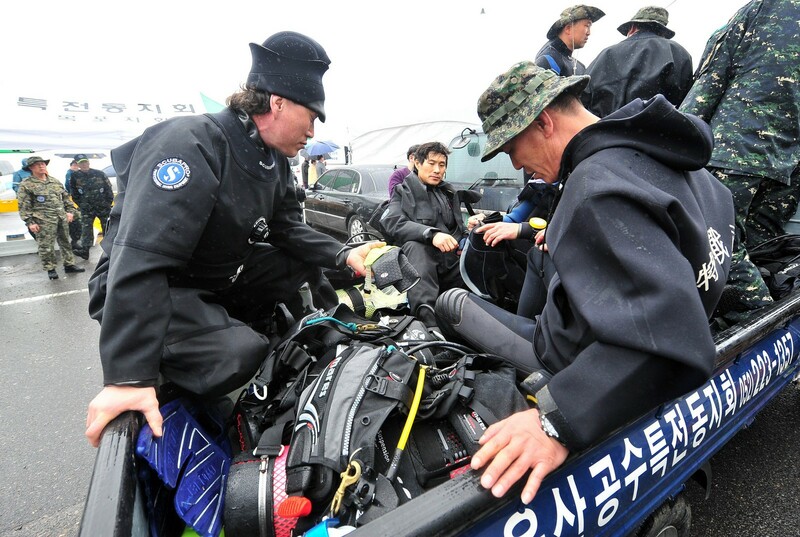 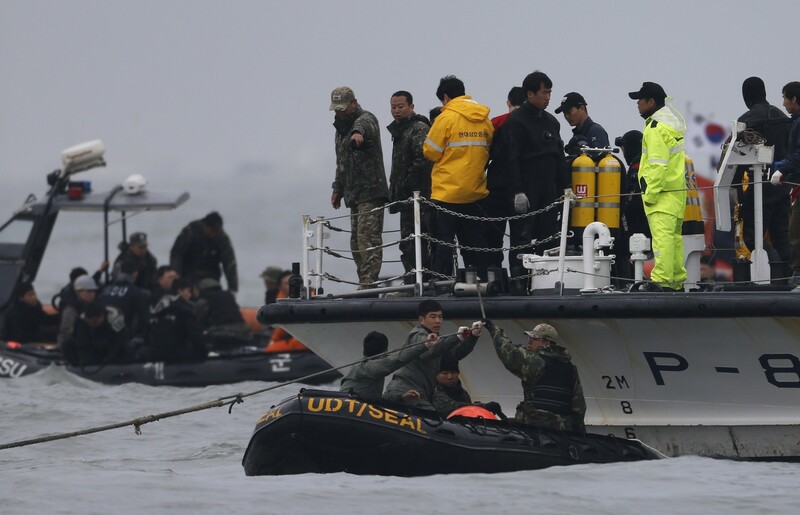 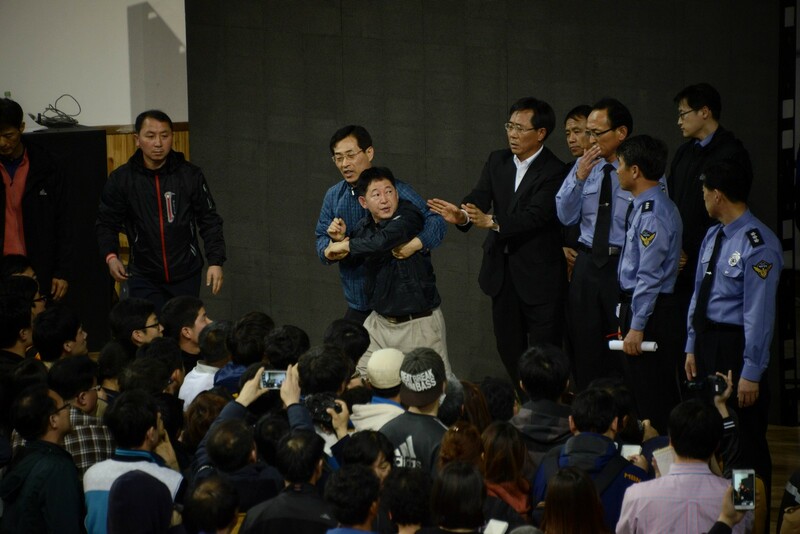 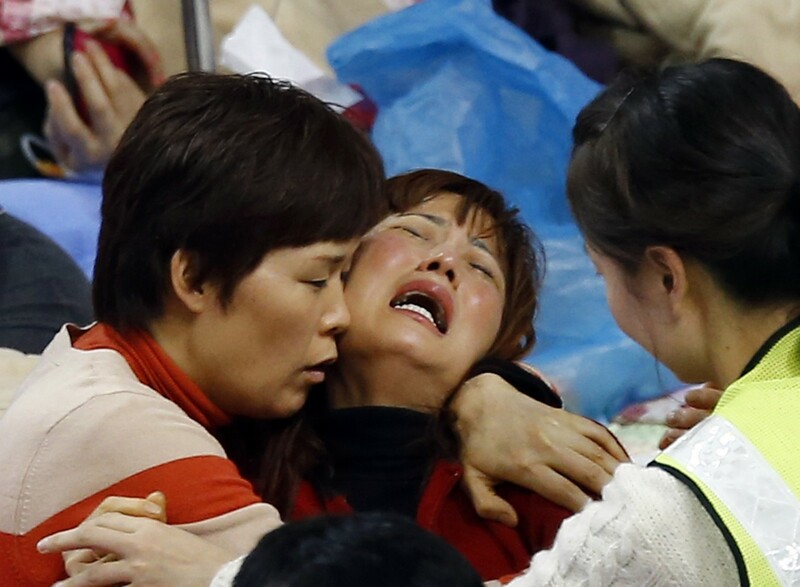 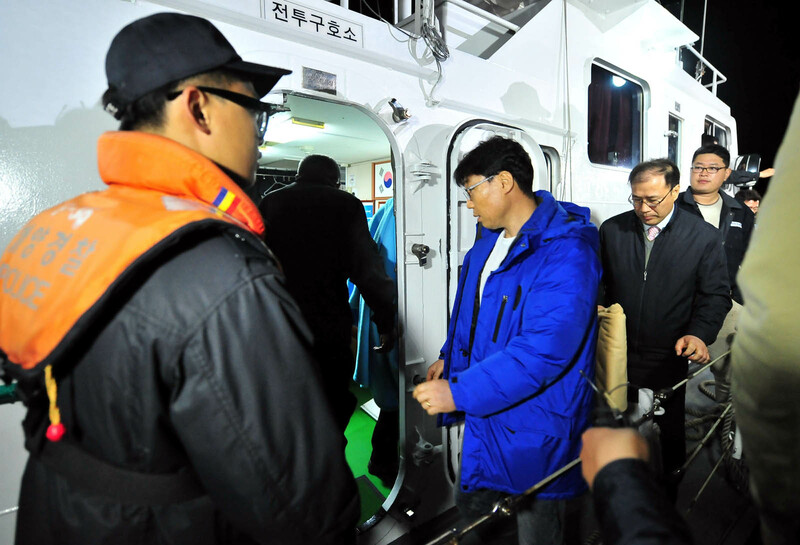 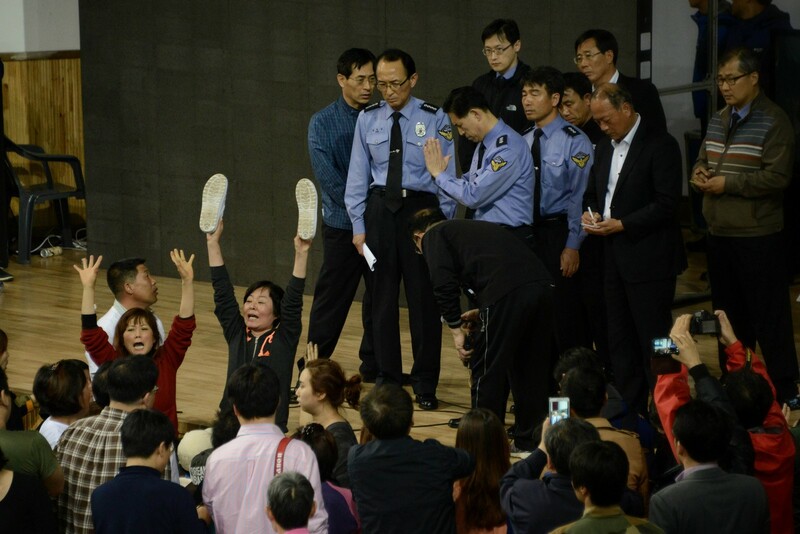 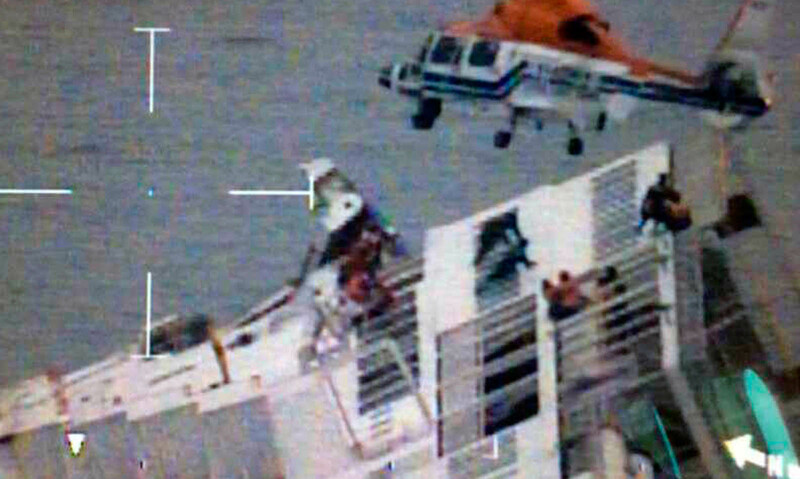 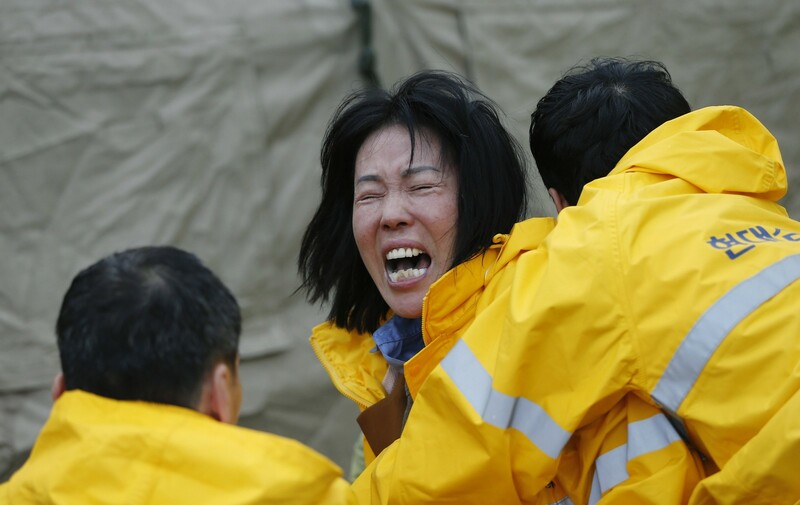 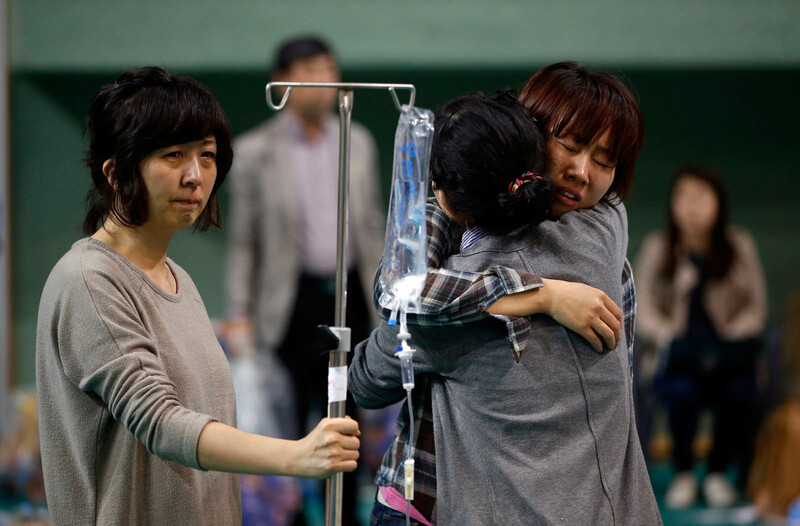 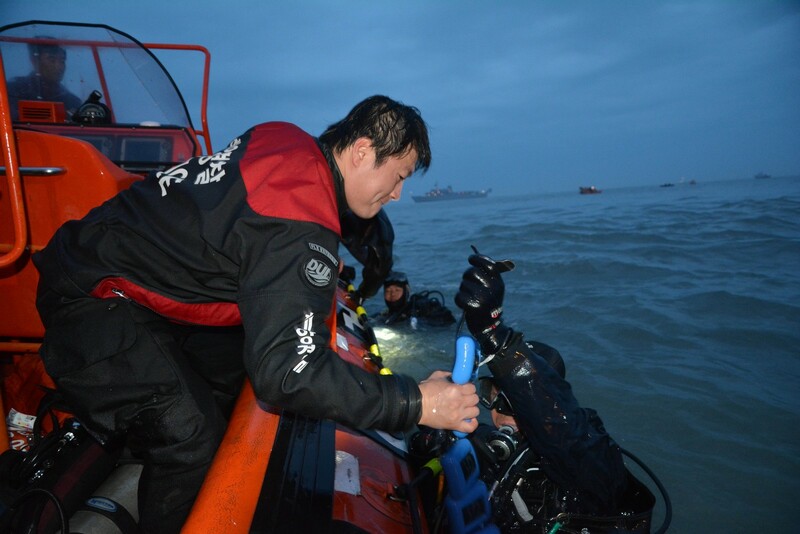 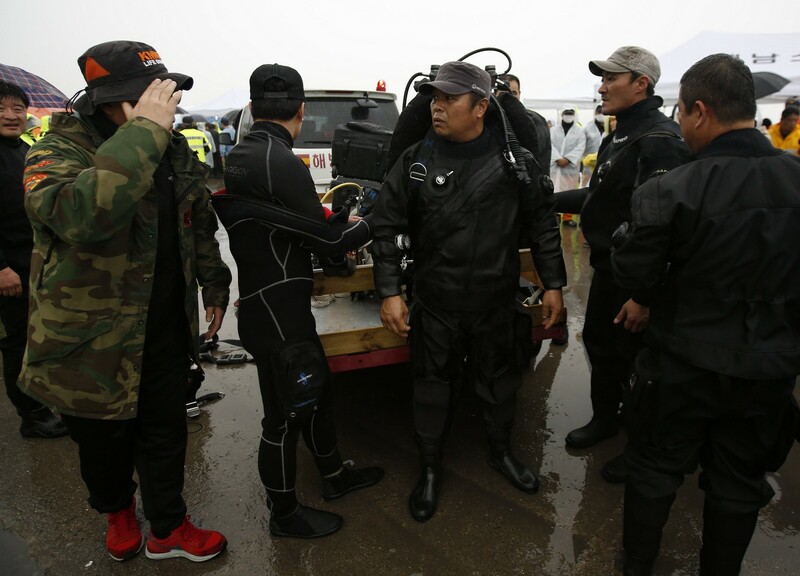 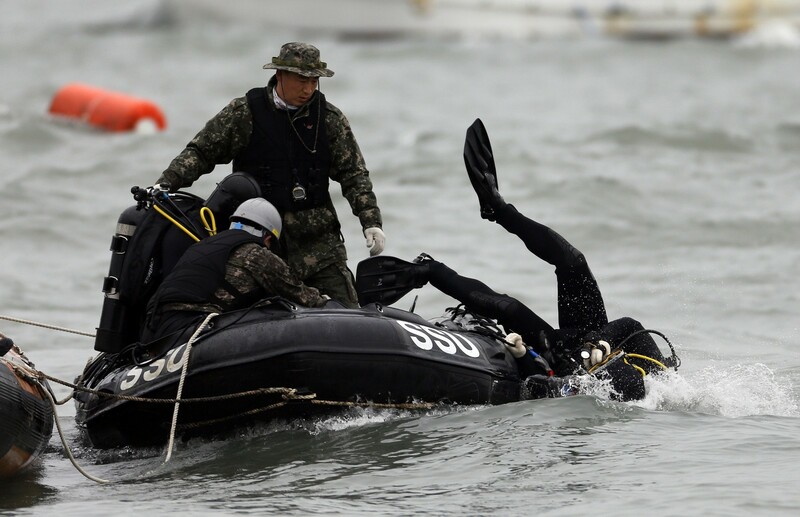 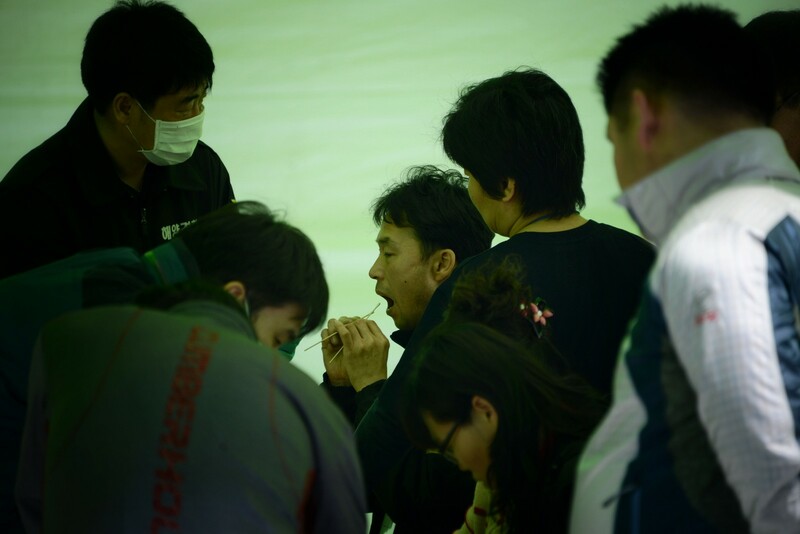 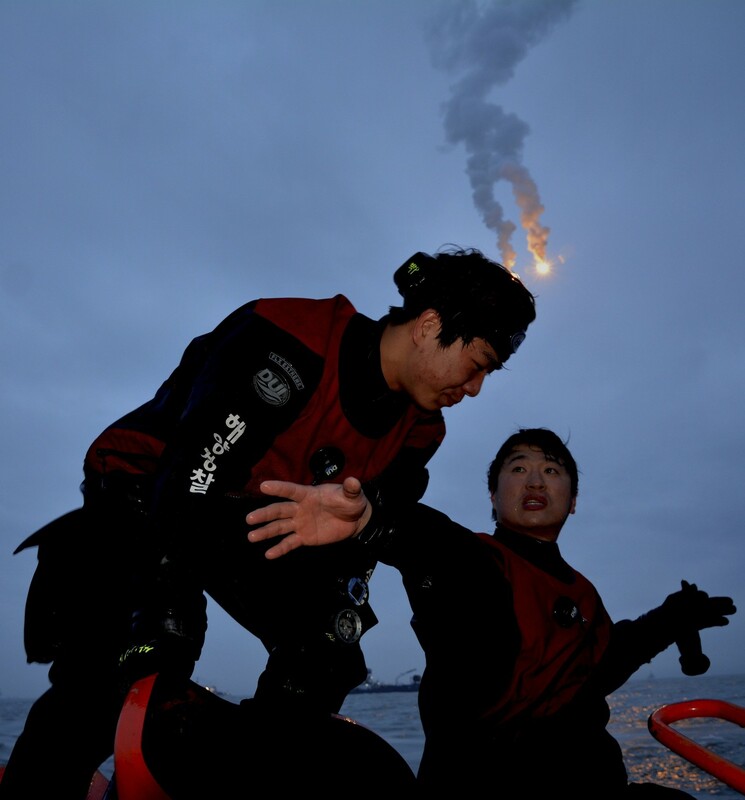 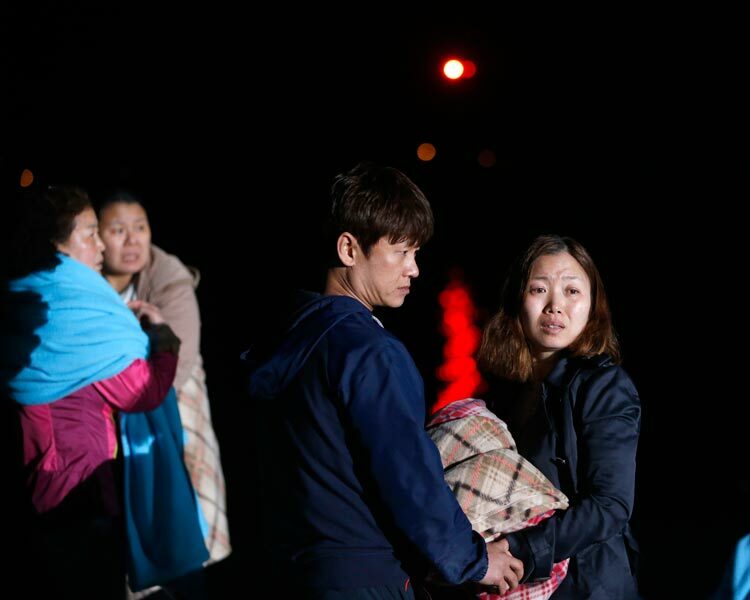 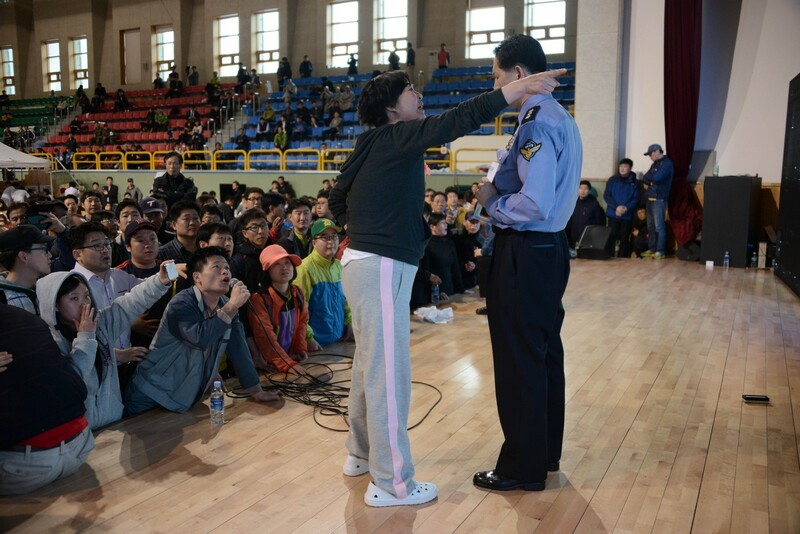 The sunken South Korean ferry "Sewol" captain Lee Joon-Seok (L), wearing a sweater and underpants, being rescued from the tilting vessel before it sank. 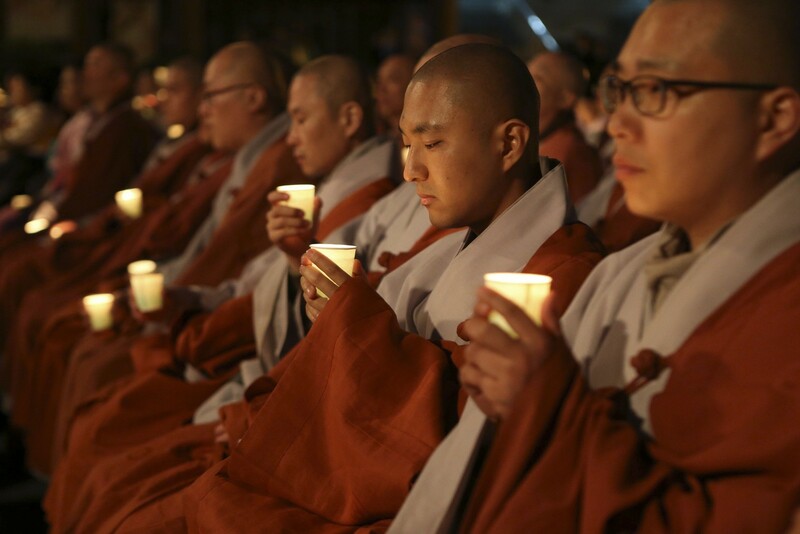 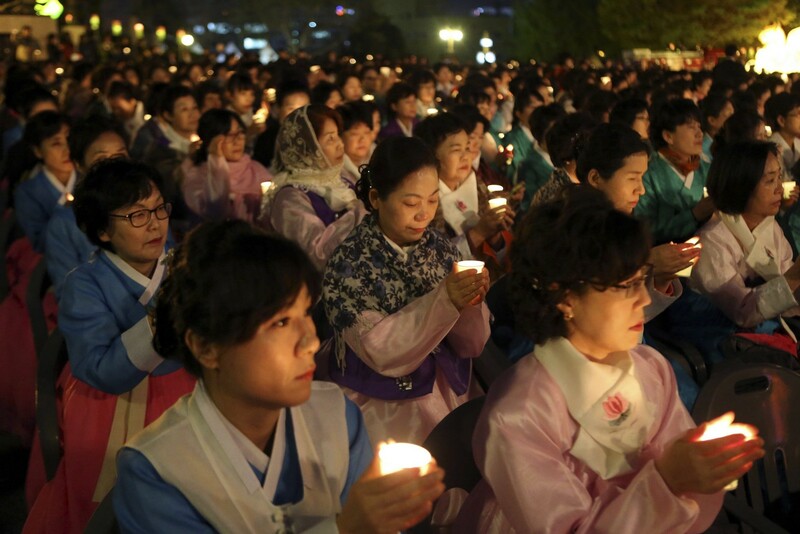 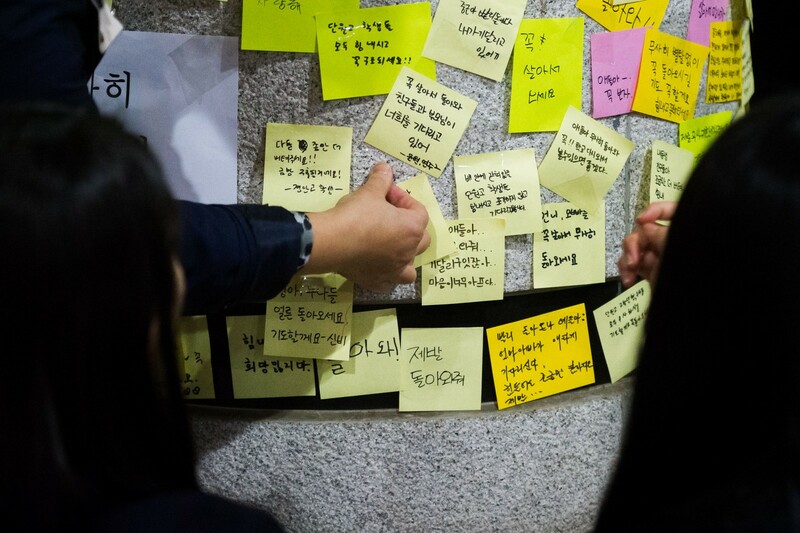 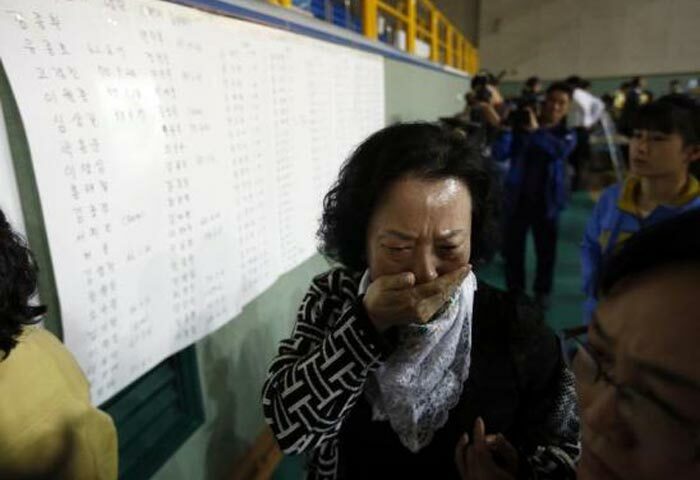 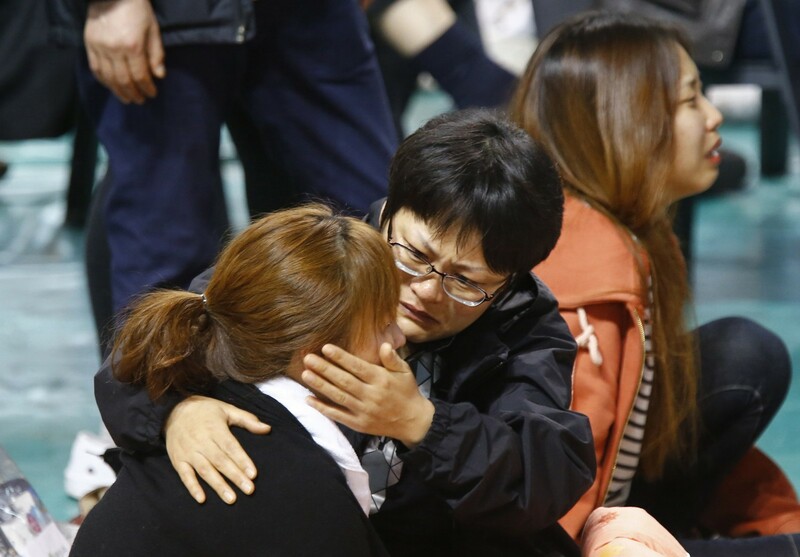 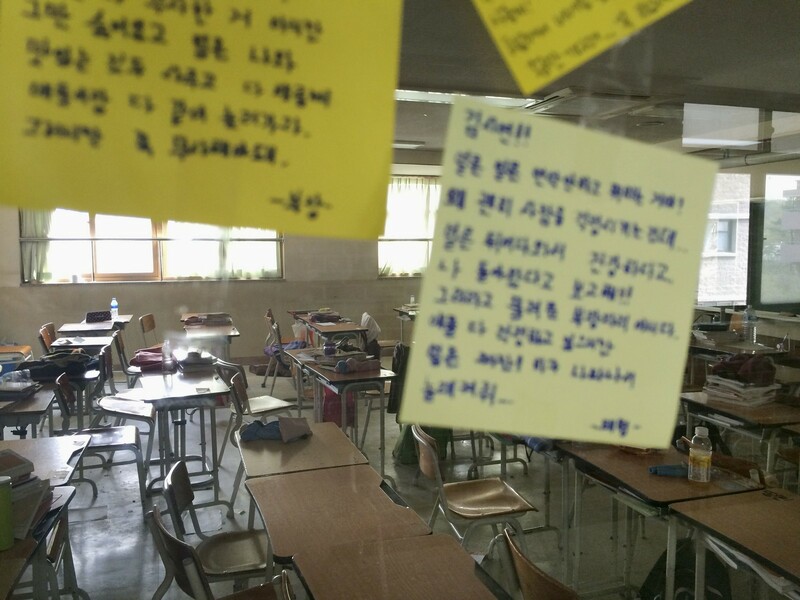 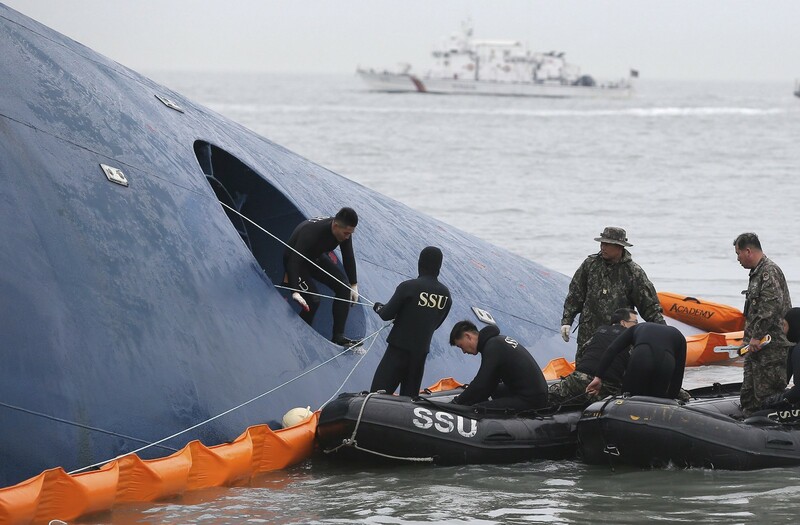 SEOUL - A culture of cosy personal ties that can blur the lines between businesses and those regulating them, of profit over safety, and soft courts is in focus as South Korea demands answers over the sinking of a ferry with the loss of more than 300 lives, mainly high school students. 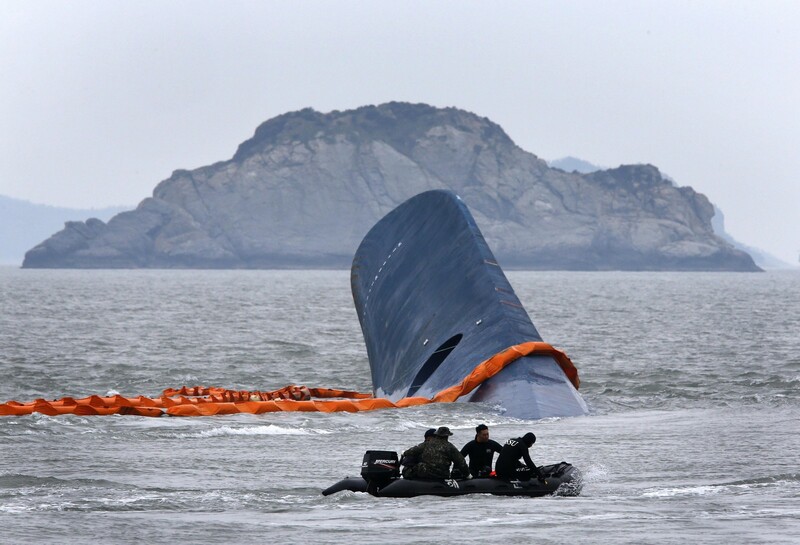 Prosecutors are investigating two shipping trade organisations responsible for vessel safety checks and for certifying ships that operate in domestic waters. 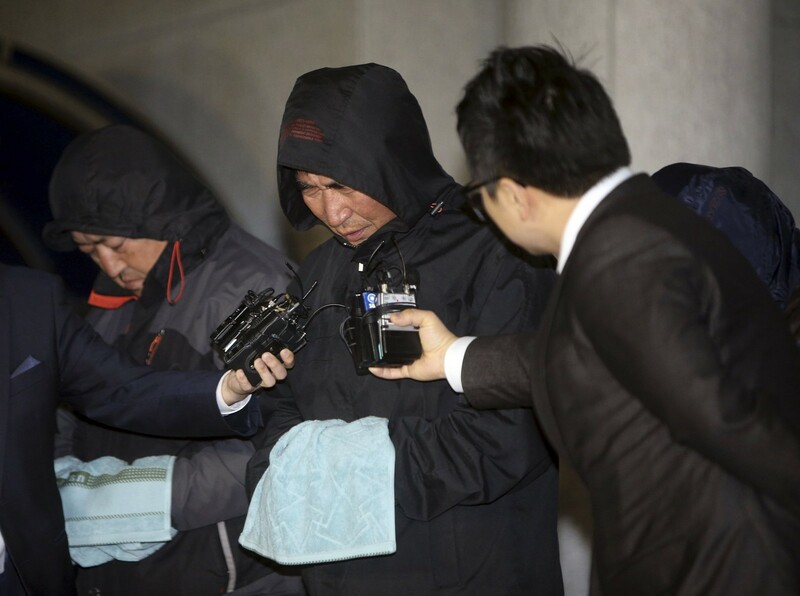 Two officials at the Korea Shipping Association (KSA) have been arrested on charges of obstructing justice for destroying documents related to a probe into lobbying government officials. 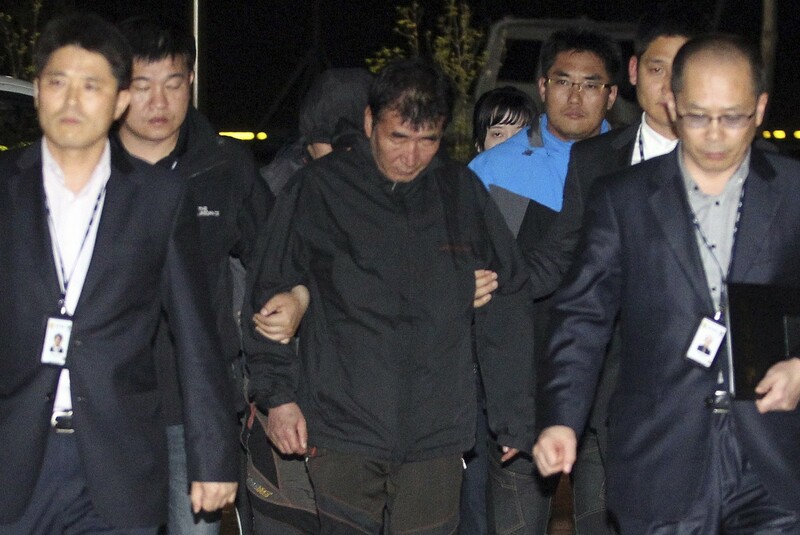 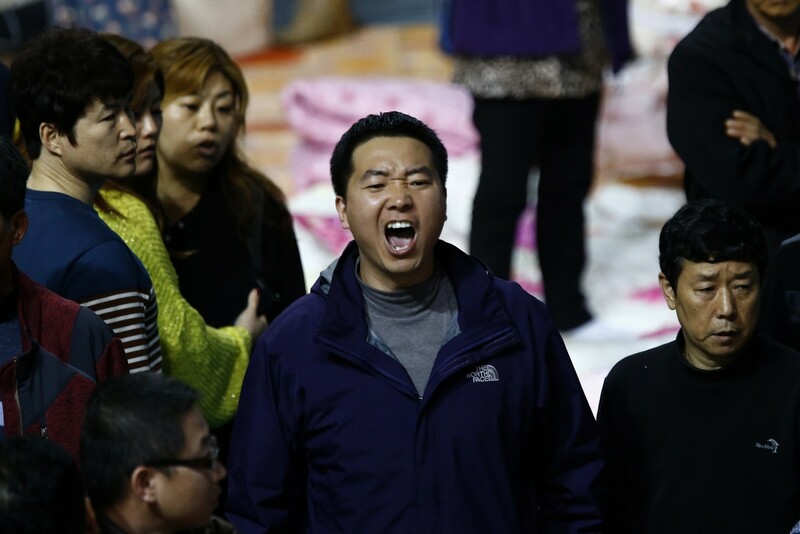 A third official was arrested for alleged influence peddling and embezzlement. 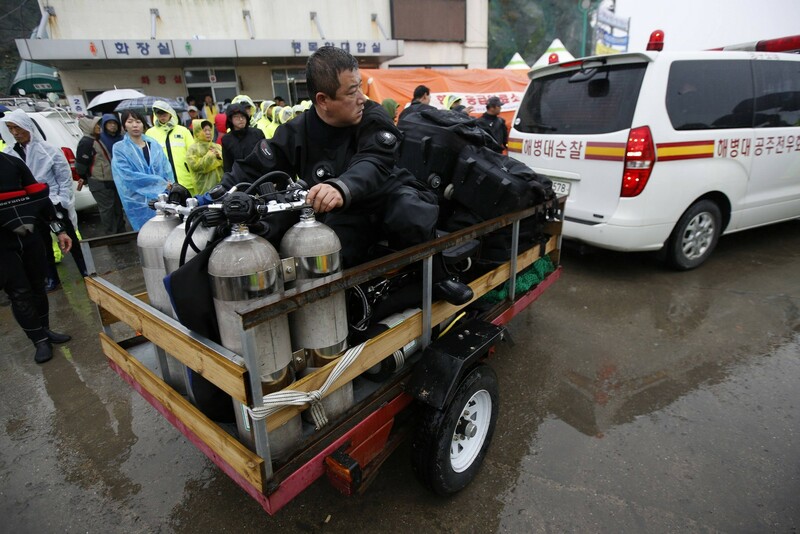 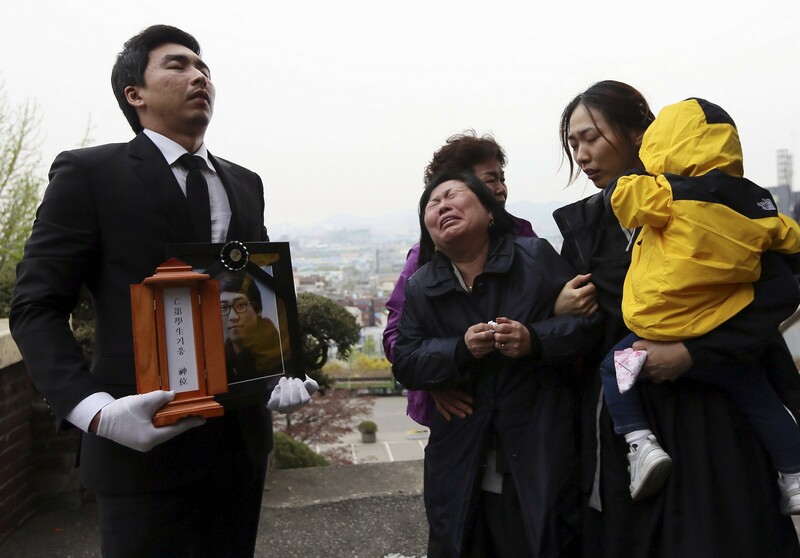 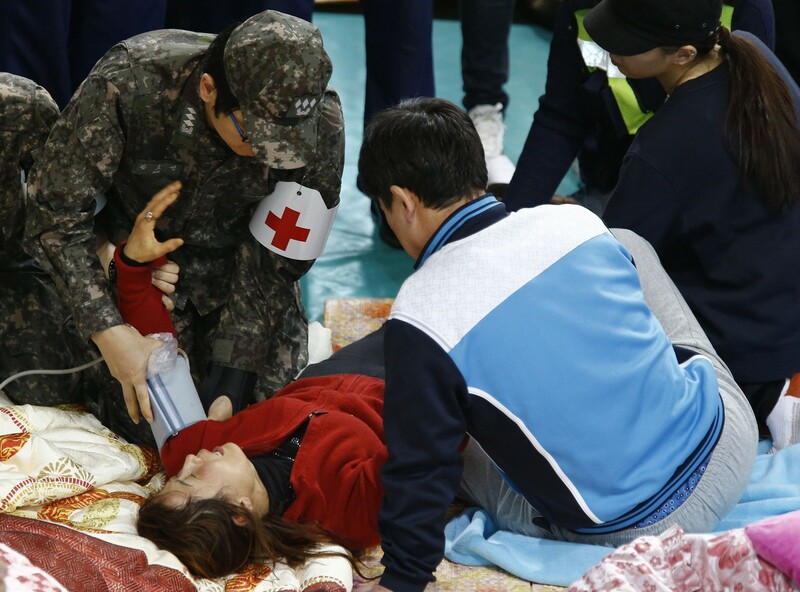 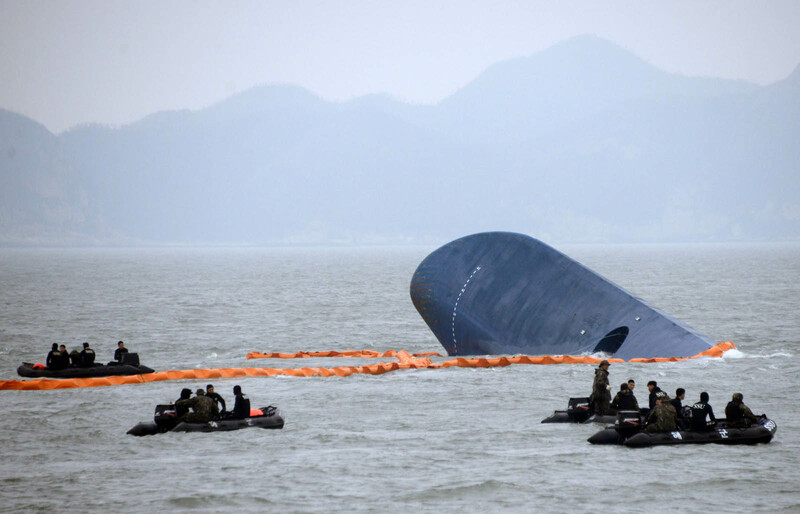 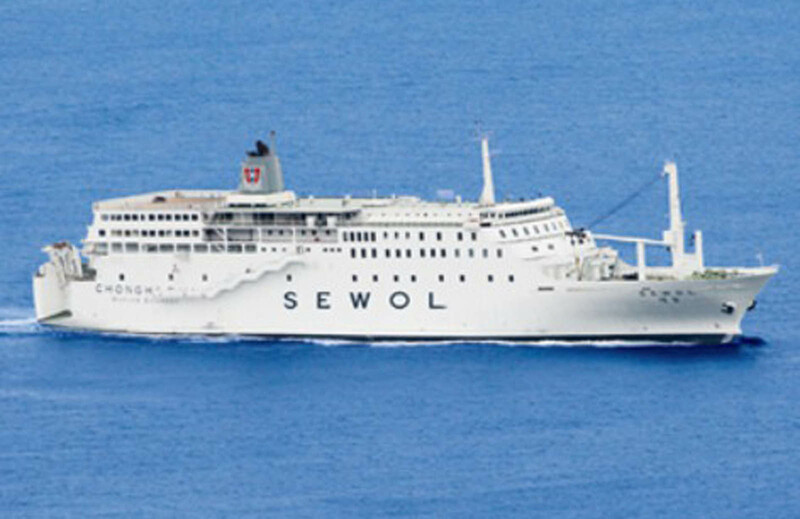 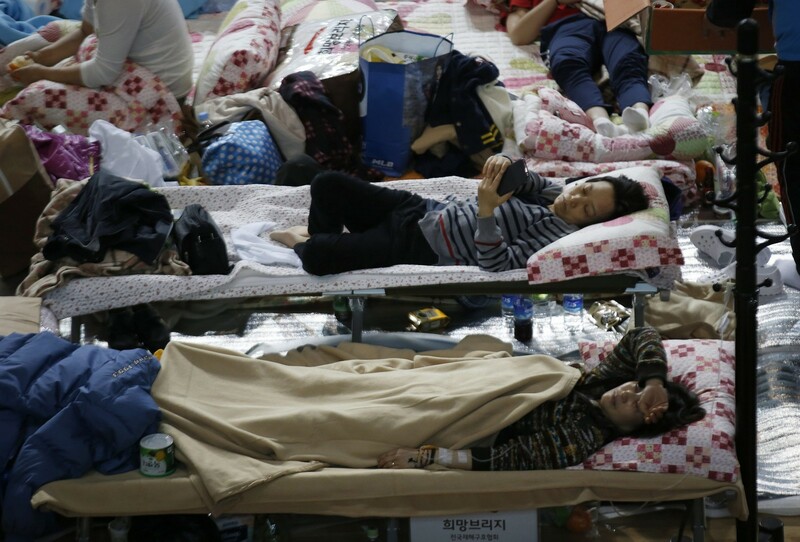 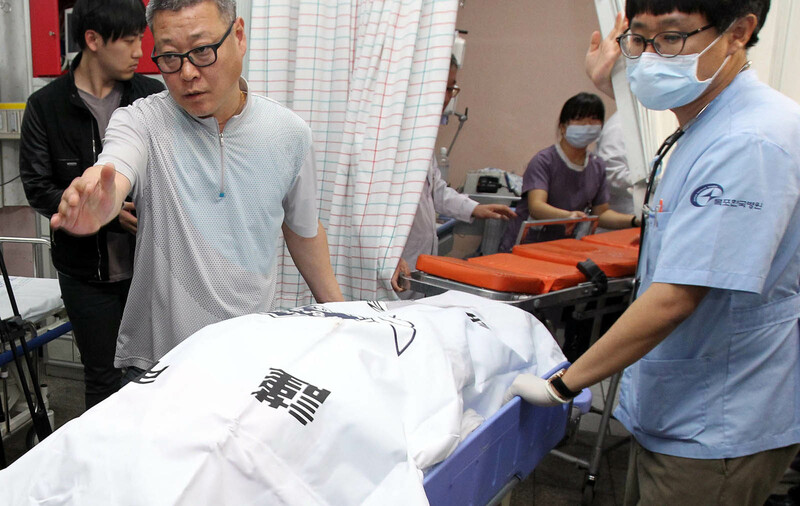 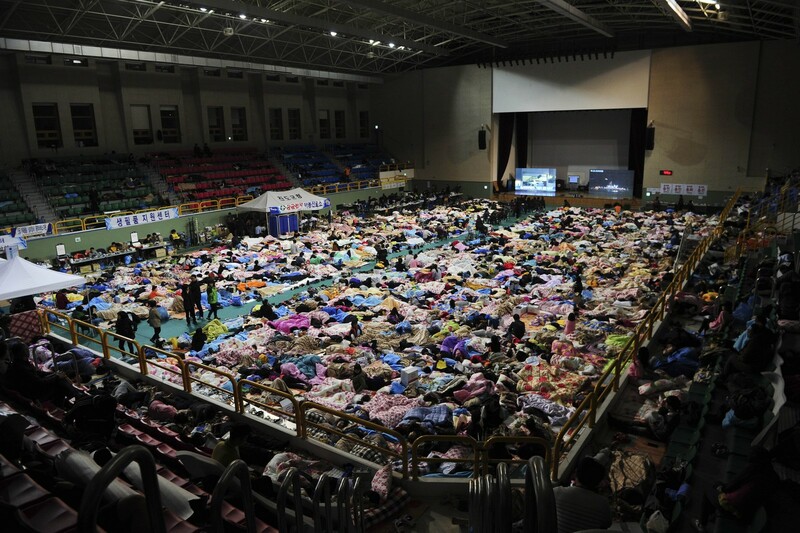 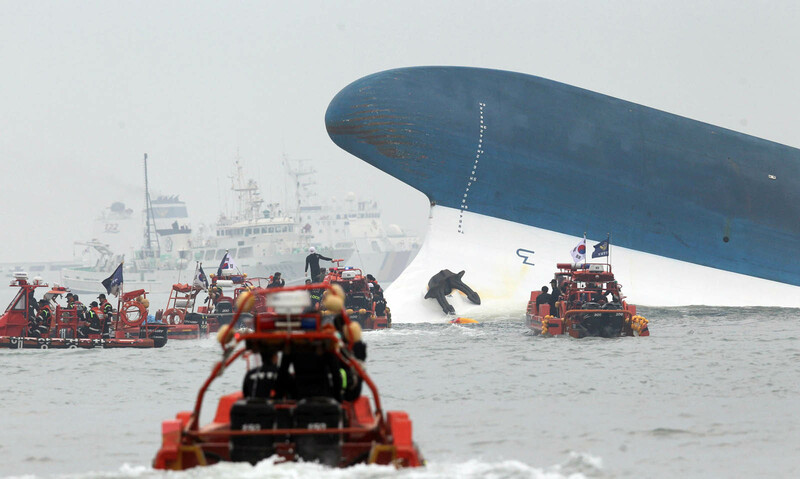 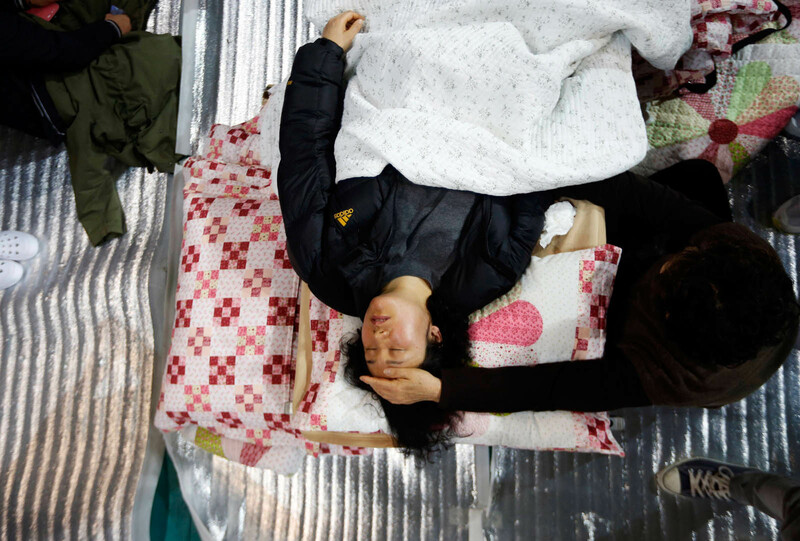 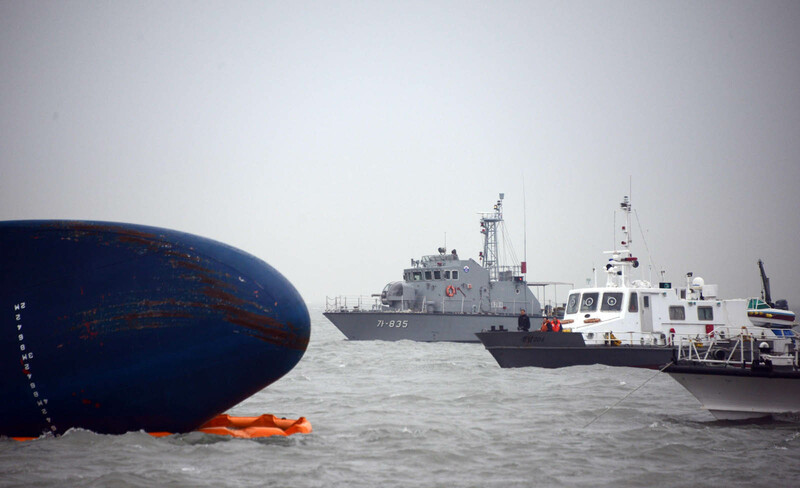 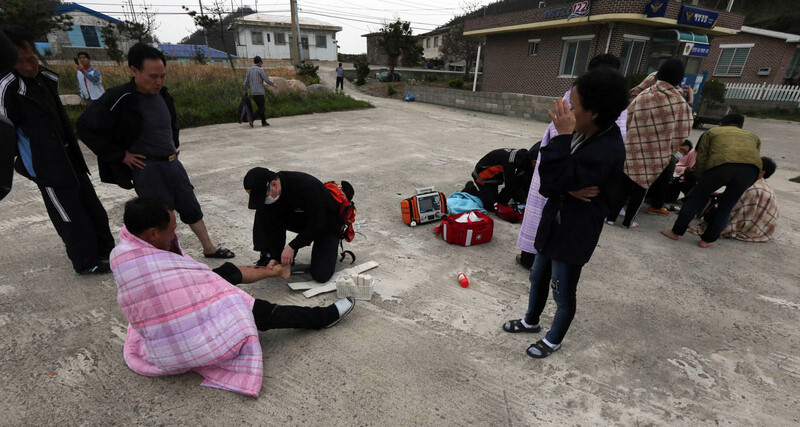 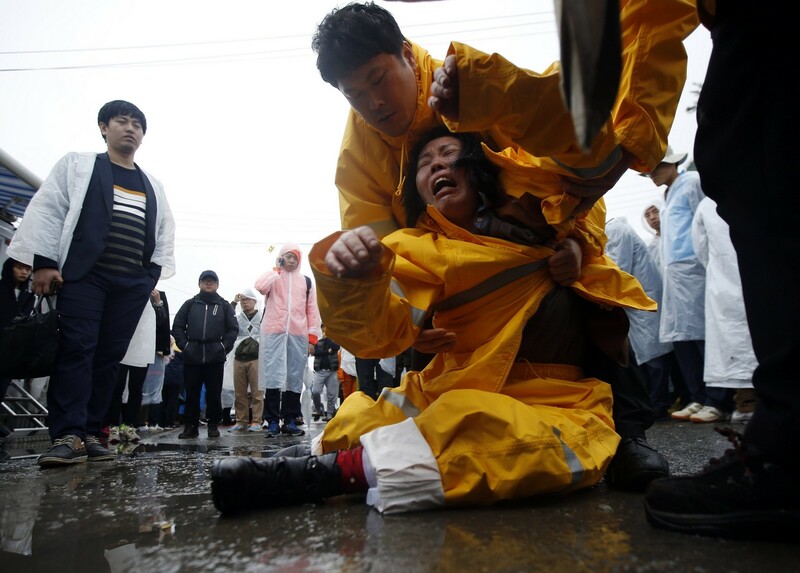 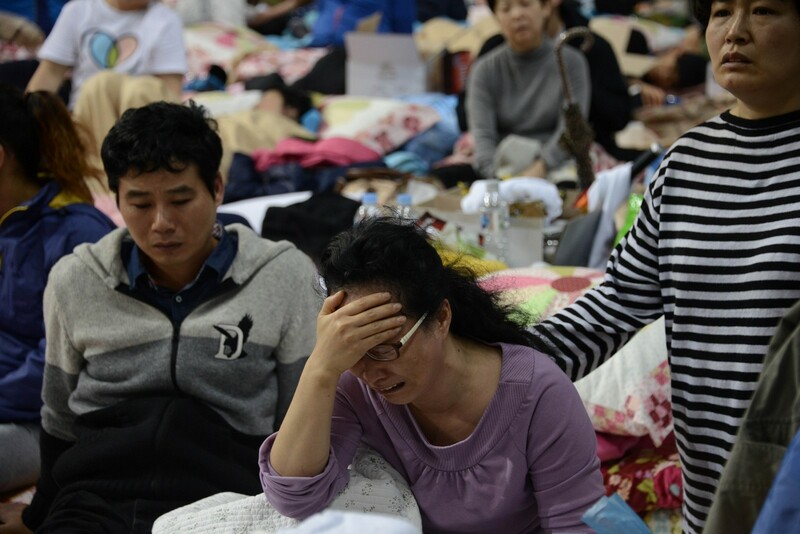 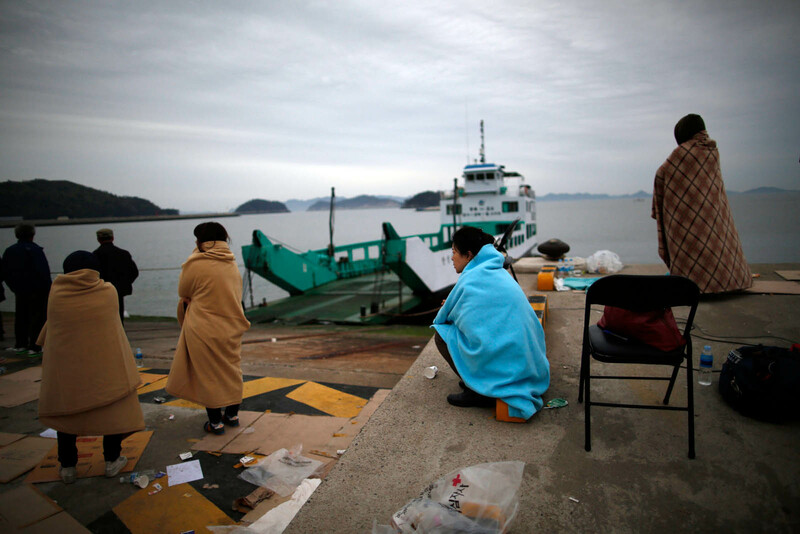 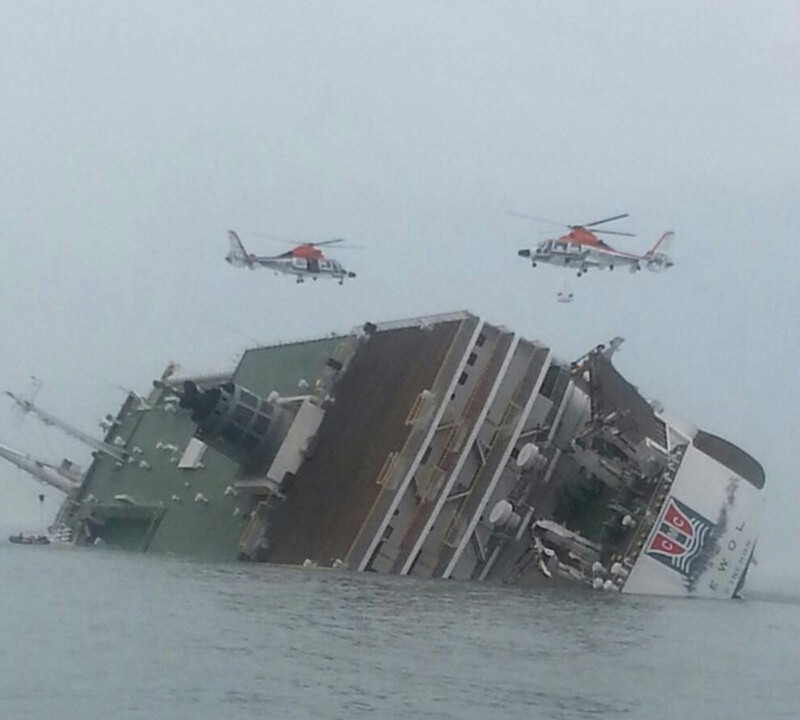 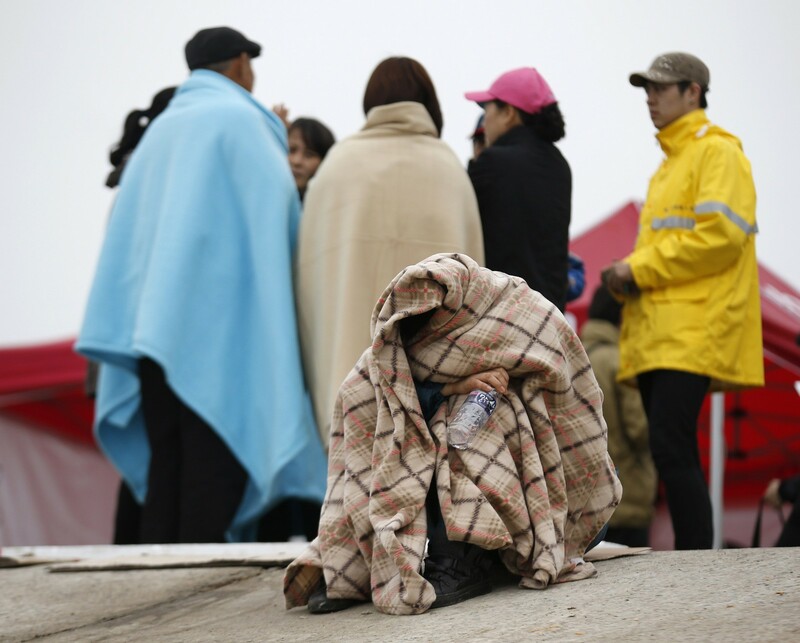 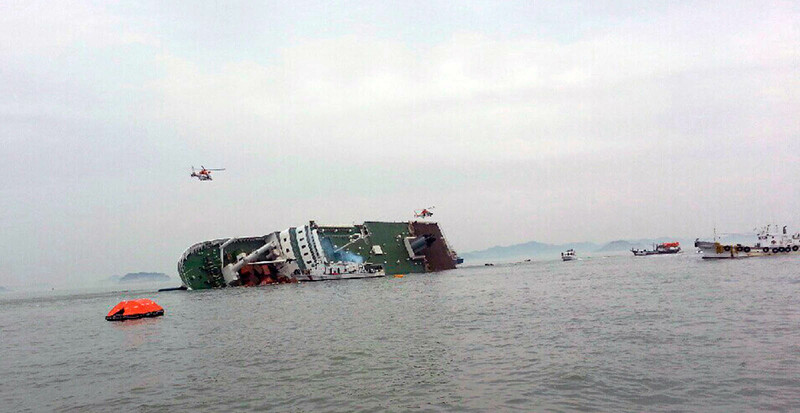 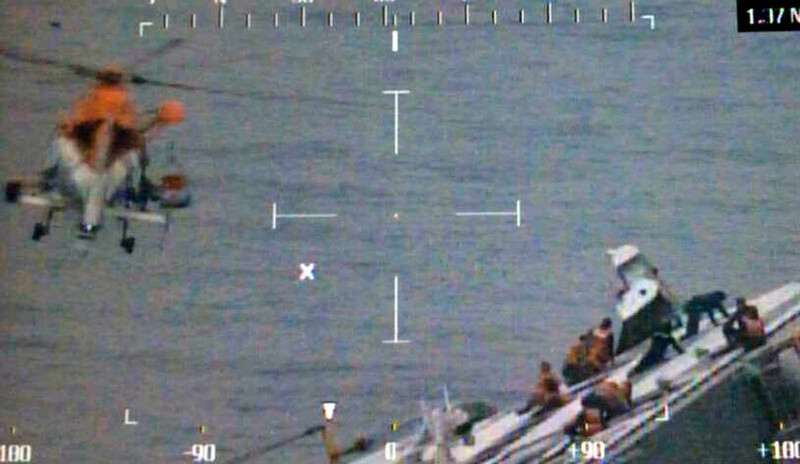 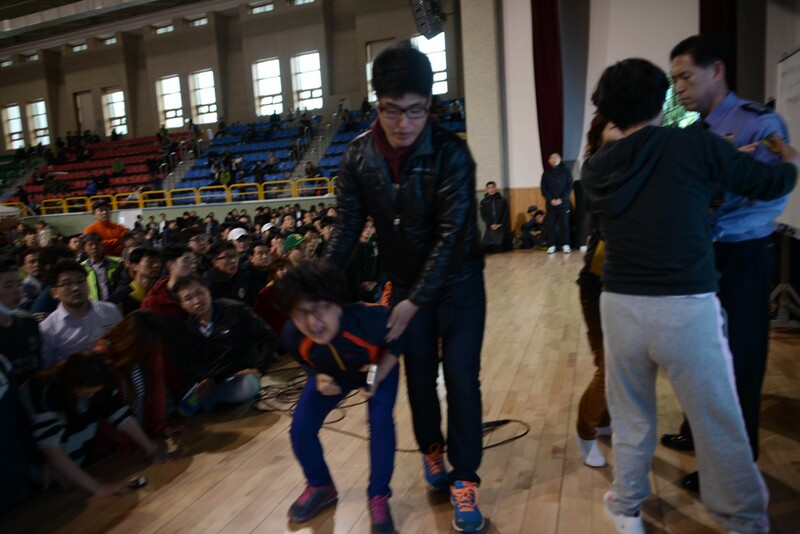 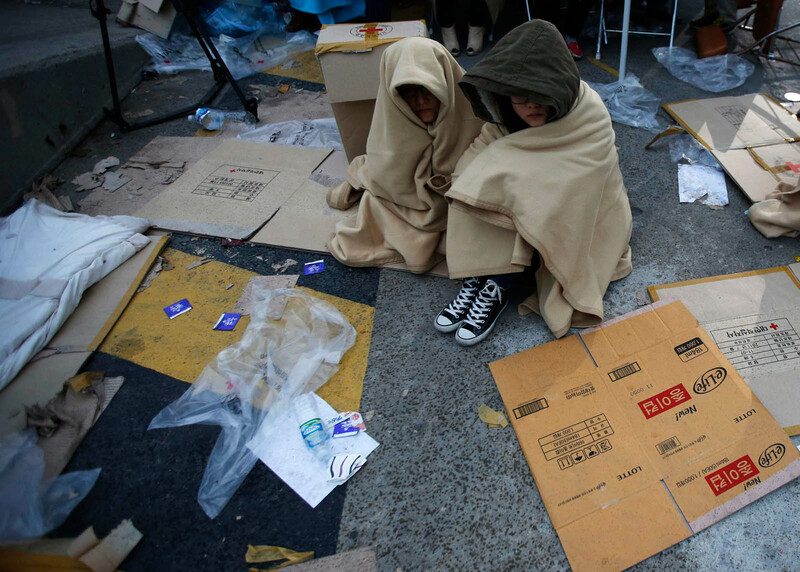 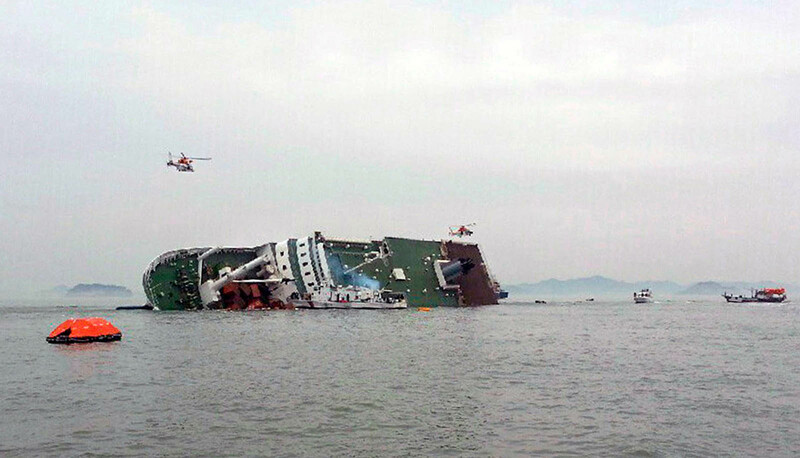 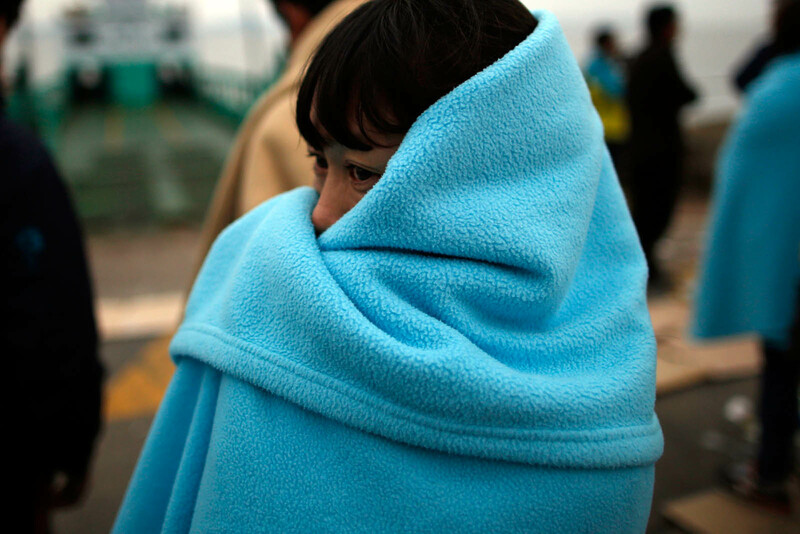 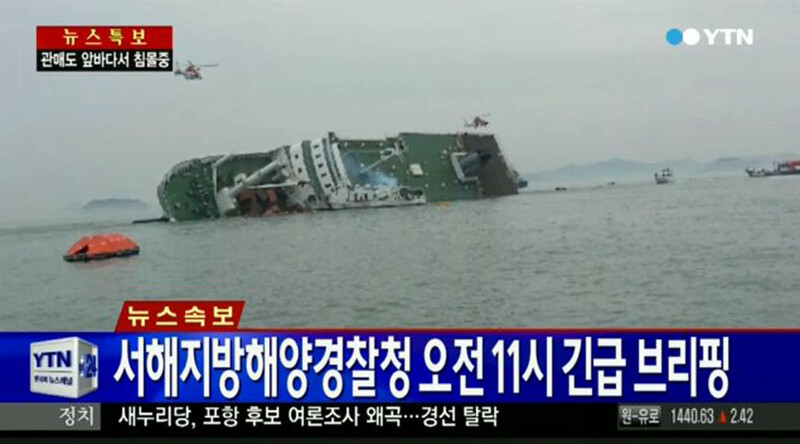 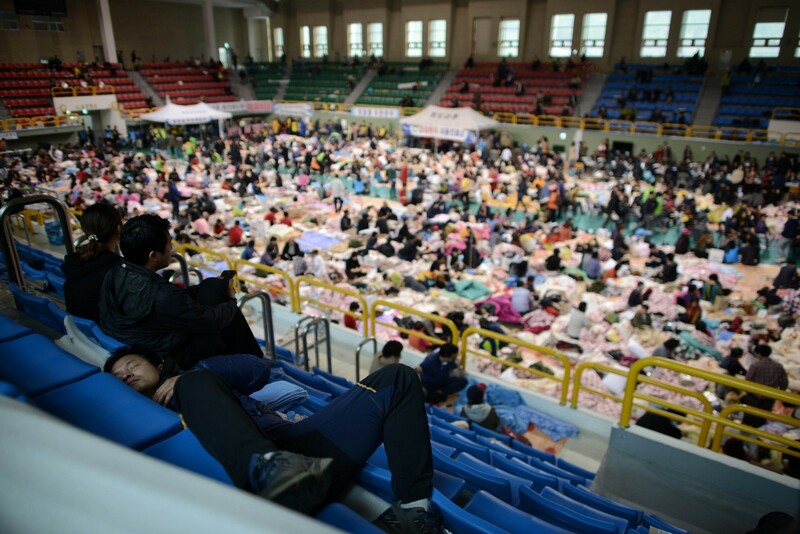 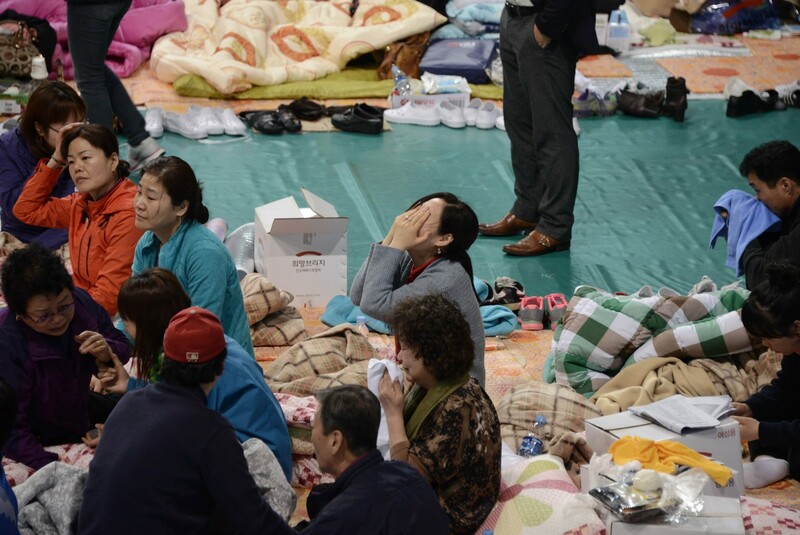 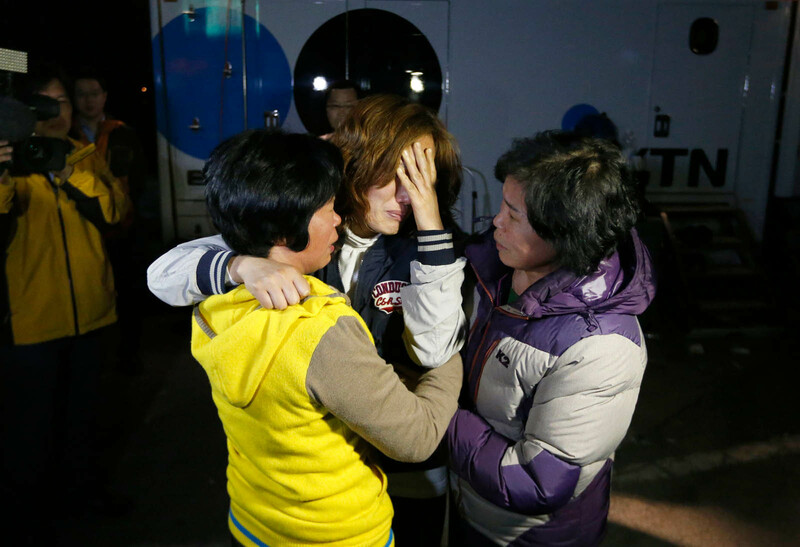 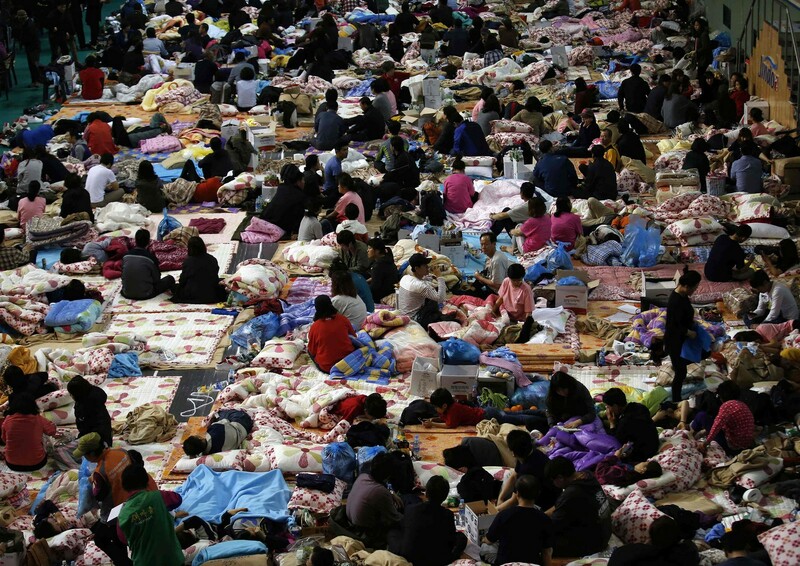 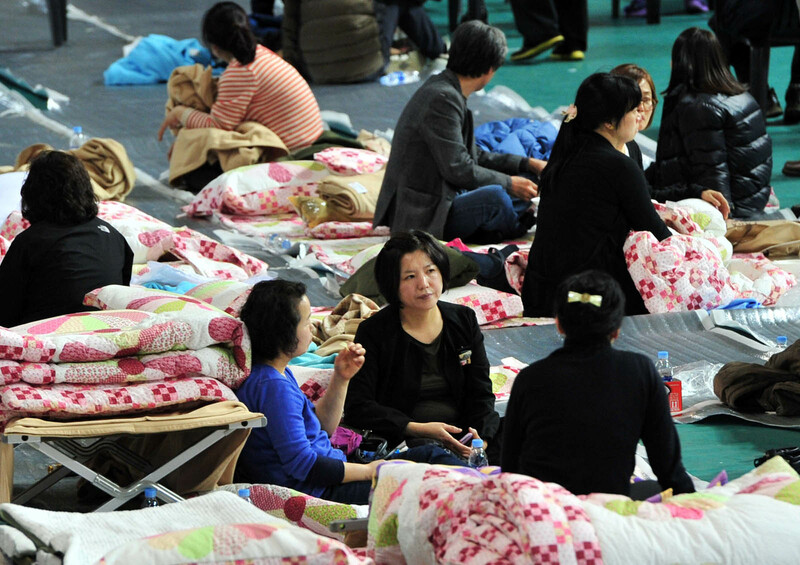 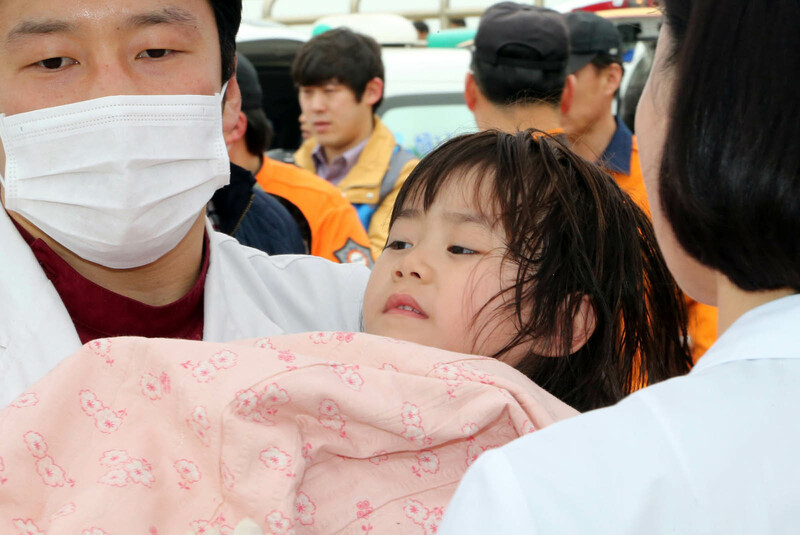 Prosecutors are also investigating Korean Register (KR), which tests and certifies ships. 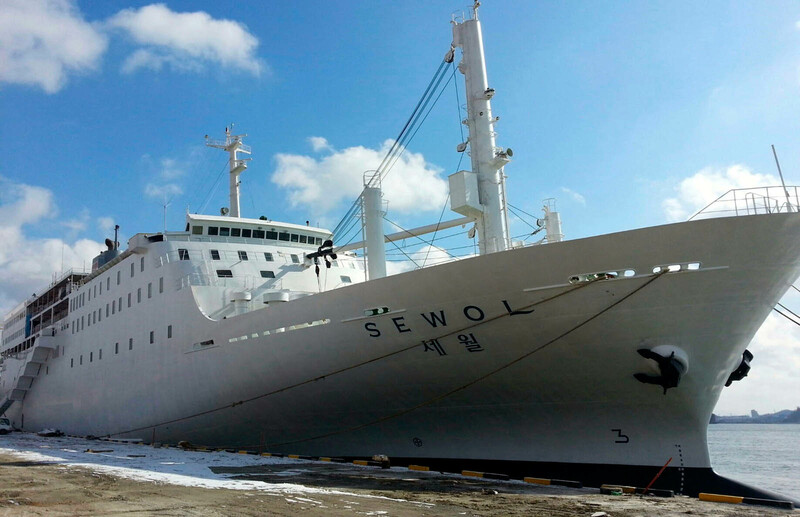 Trade groups wield enormous power in South Korea's shipping industry - and in other sectors, too - as lobby groups and as business interests that can outsource inspection contracts to smaller companies, said an official at a shipbuilding company. 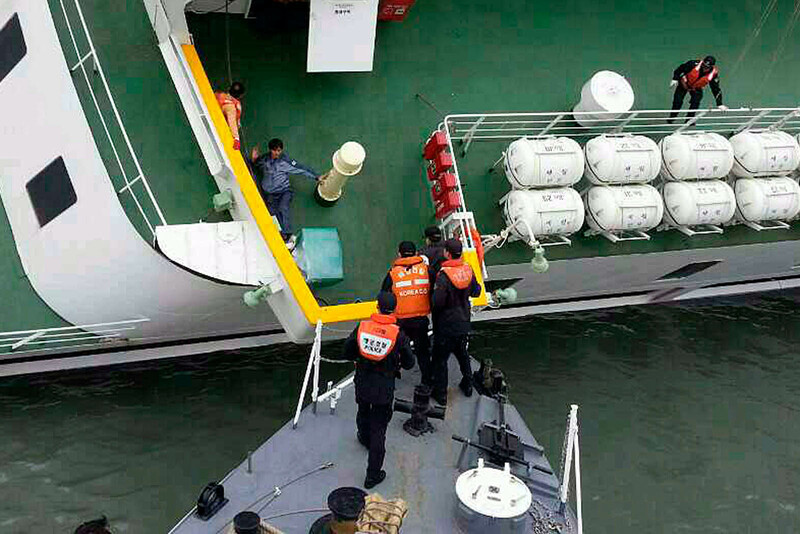 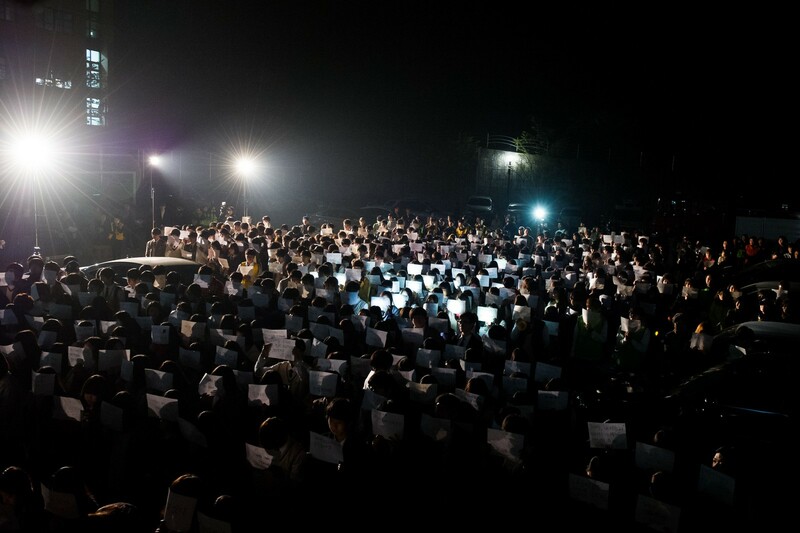 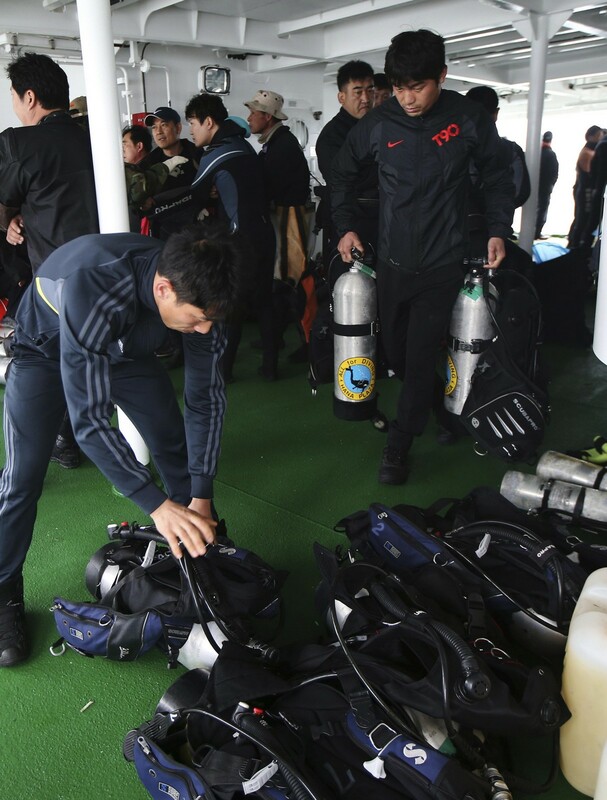 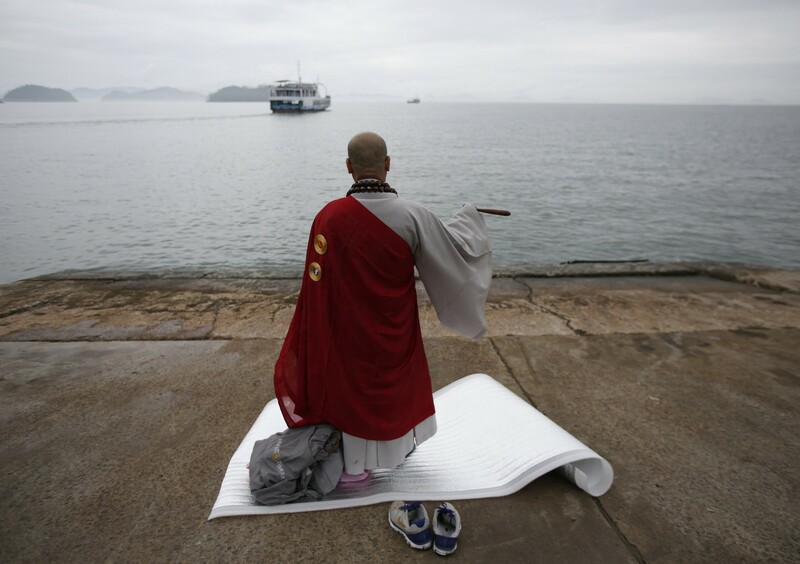 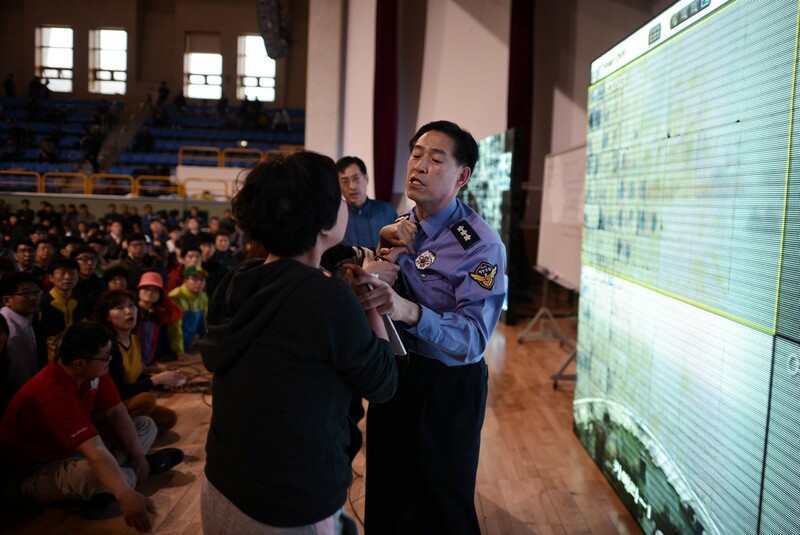 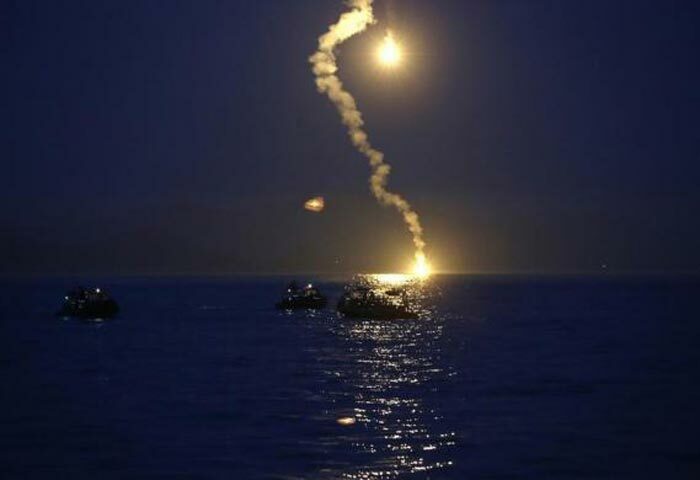 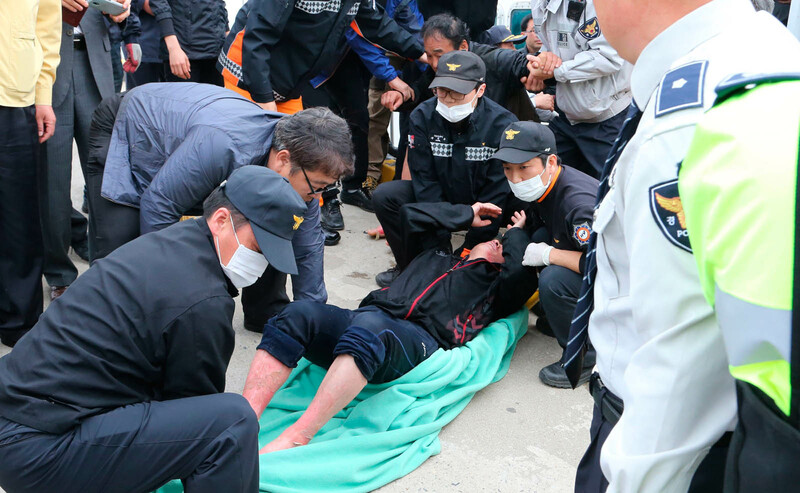 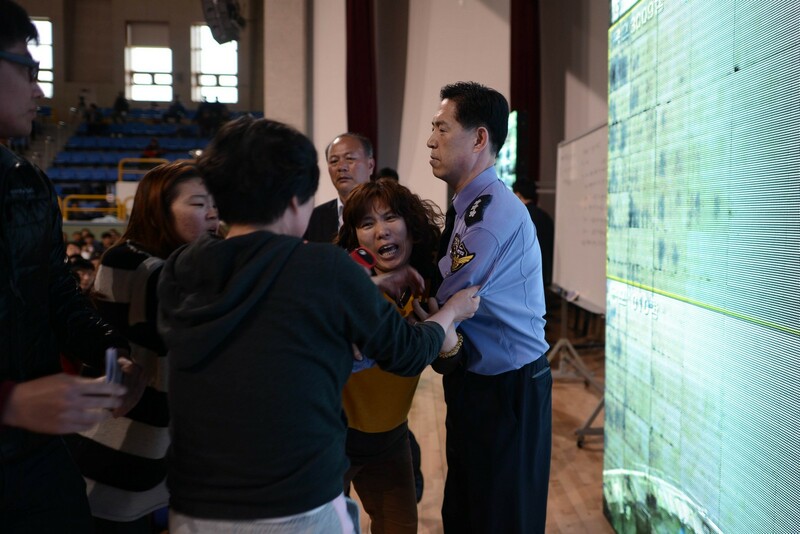 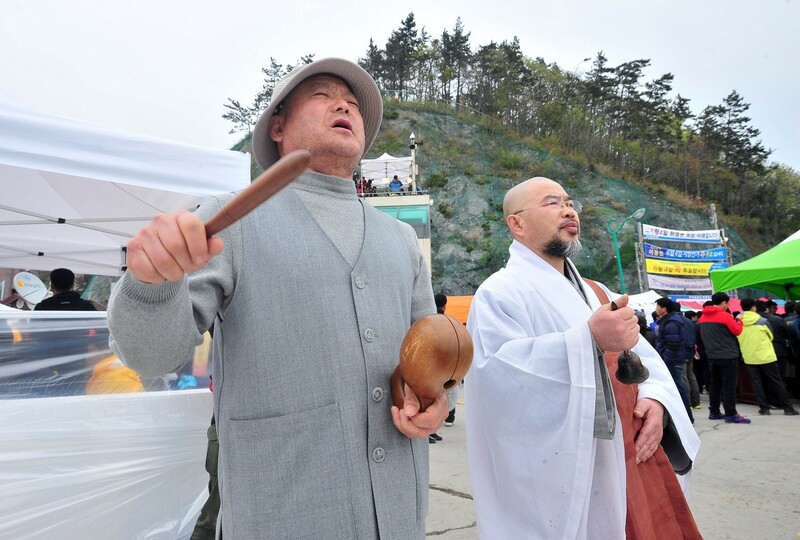 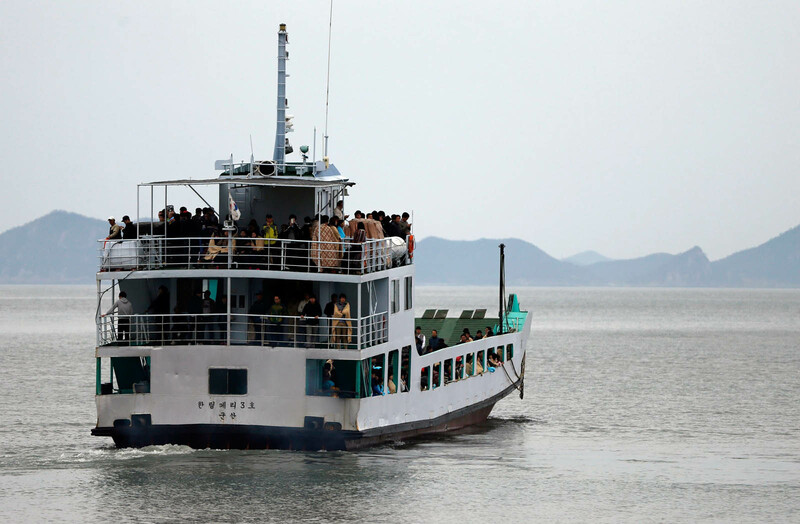 "Korean Register has so many officials who come from the Maritime Ministry," said the official, who is based in the port city of Mokpo and who did not want to be named due to the issue's sensitivity and the ongoing criminal investigations. 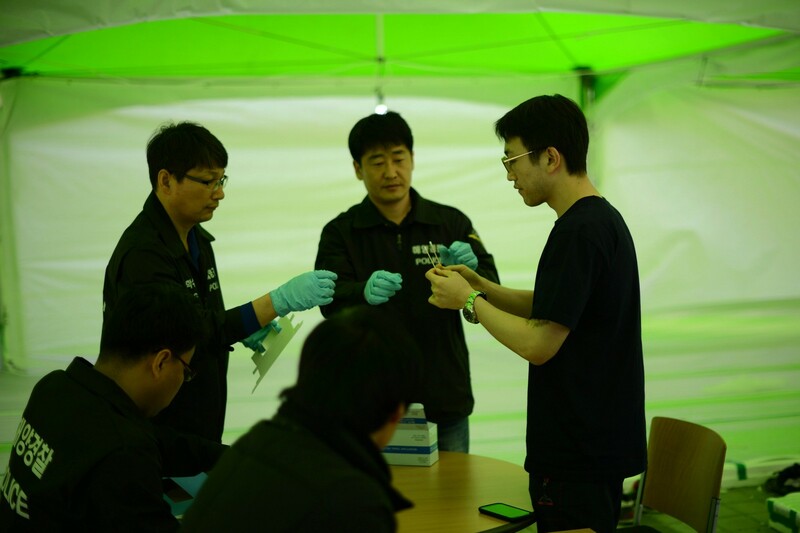 "There are many interests that co-exist and business has been done to protect each other for so many years, you have to wonder if something like inspections can be done right." 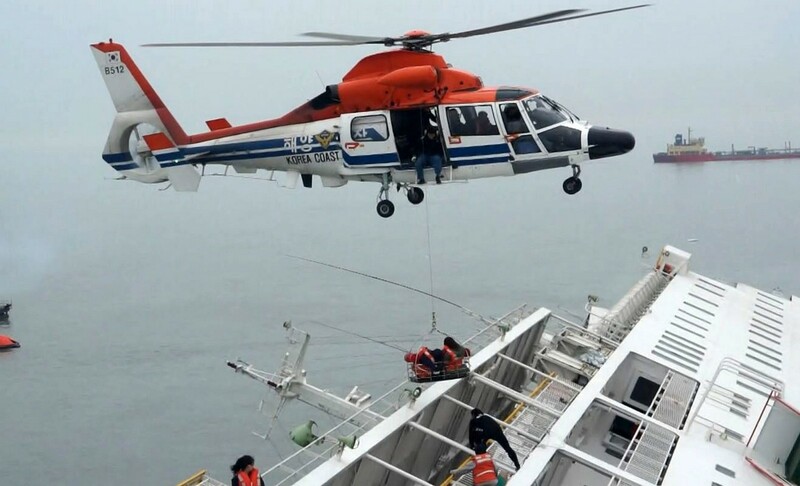 The KSA is responsible for routine shipping inspections, such as the loading of cargo and safety gear intended for use by passengers. 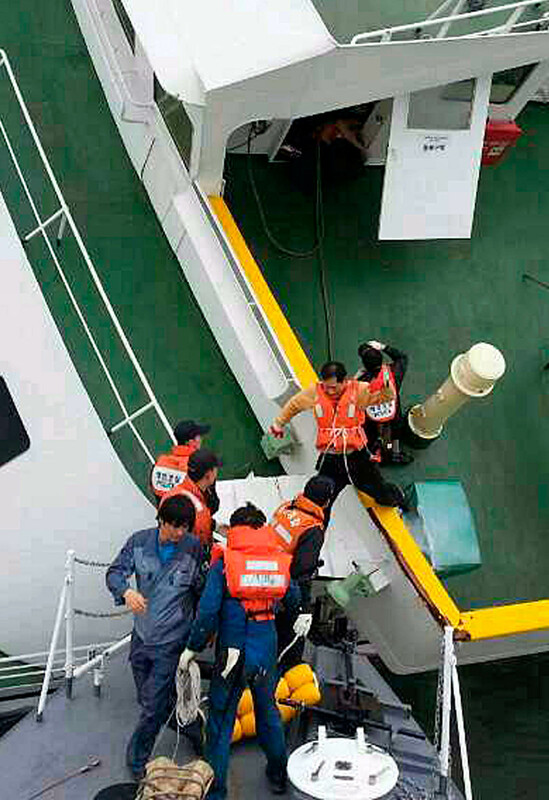 The body, which is paid for by passenger and cargo ship operators, also represents shipping companies. 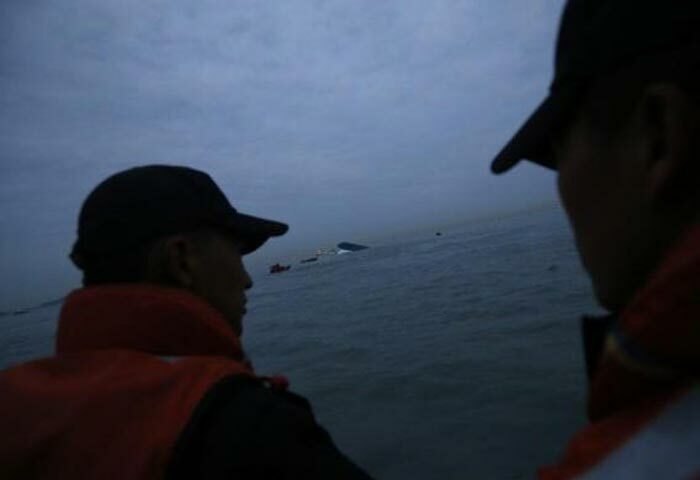 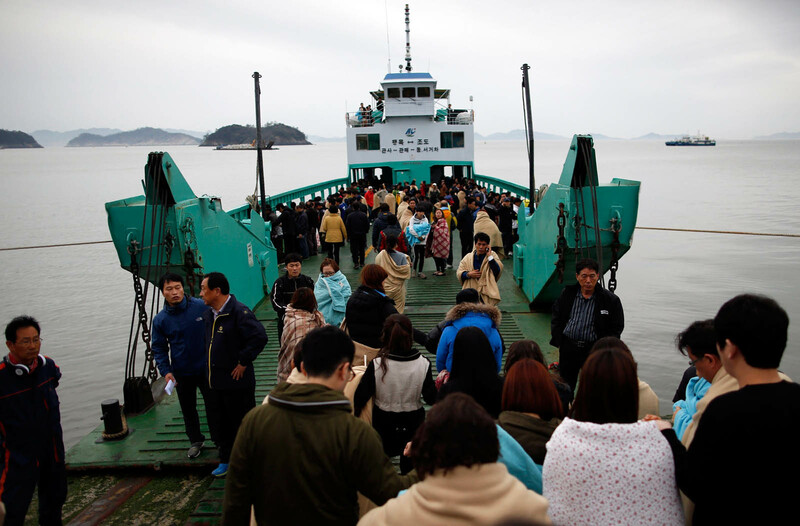 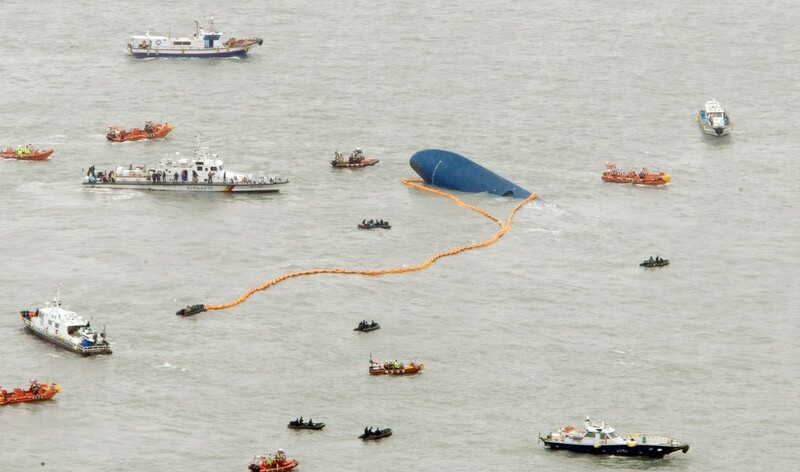 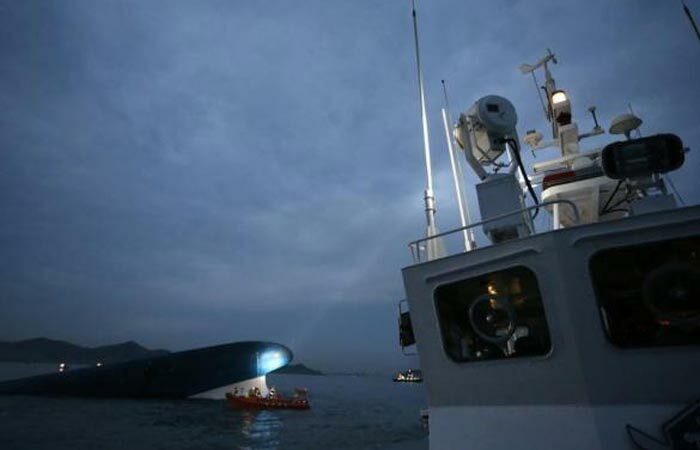 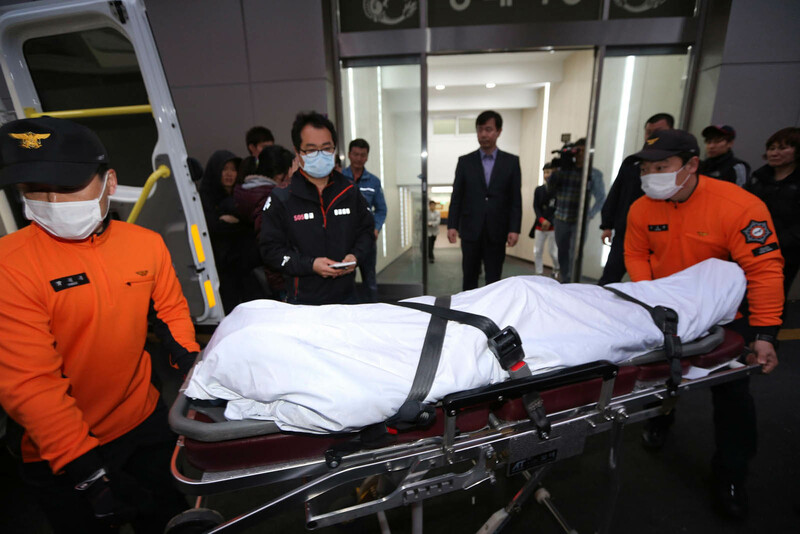 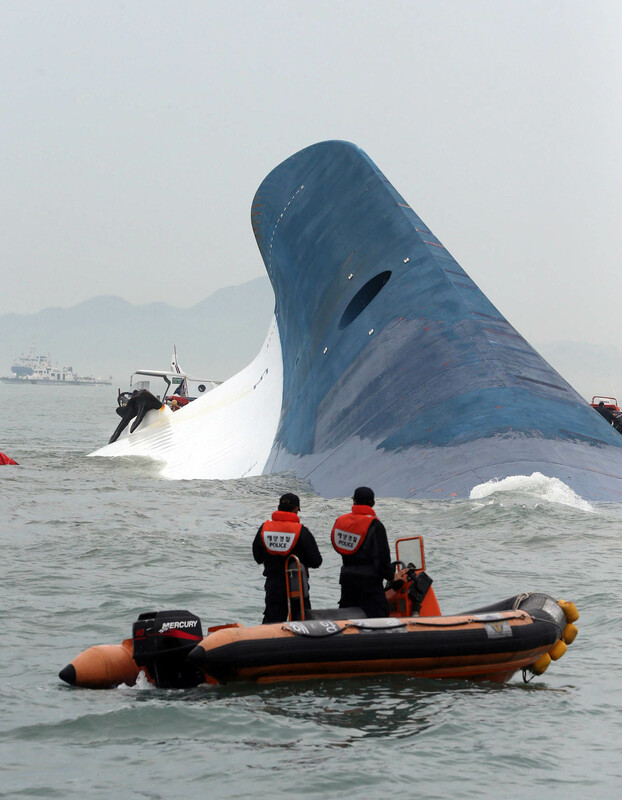 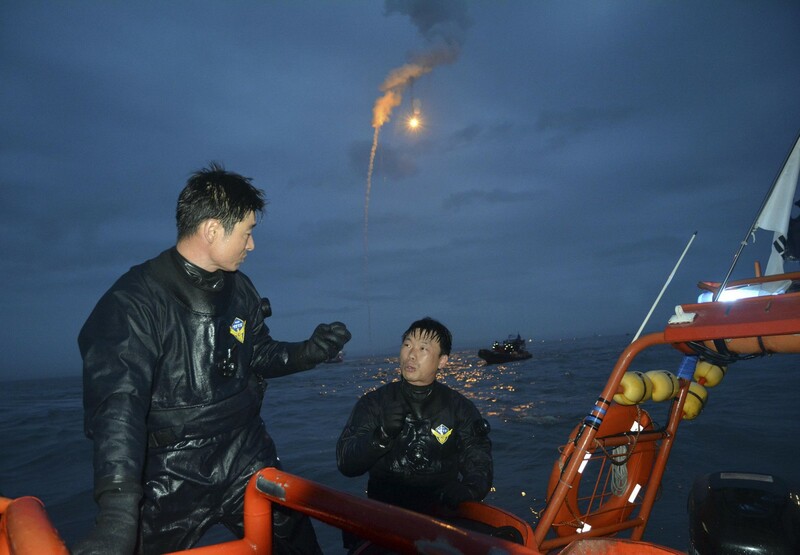 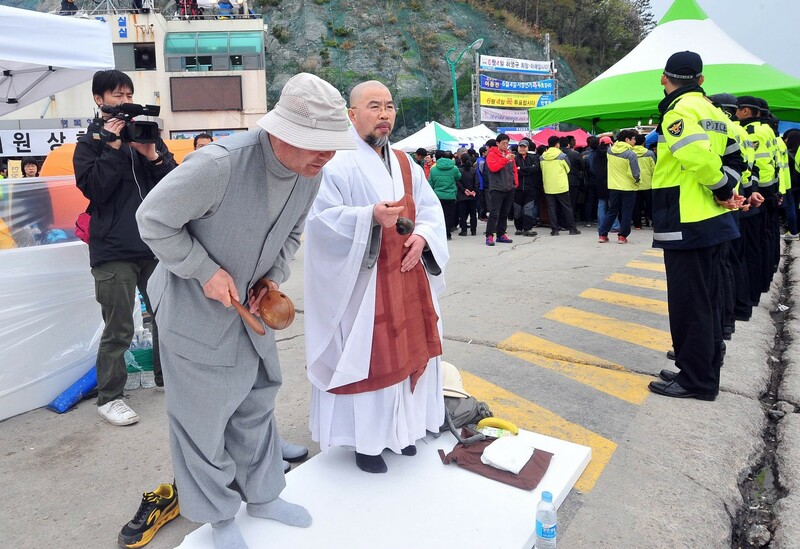 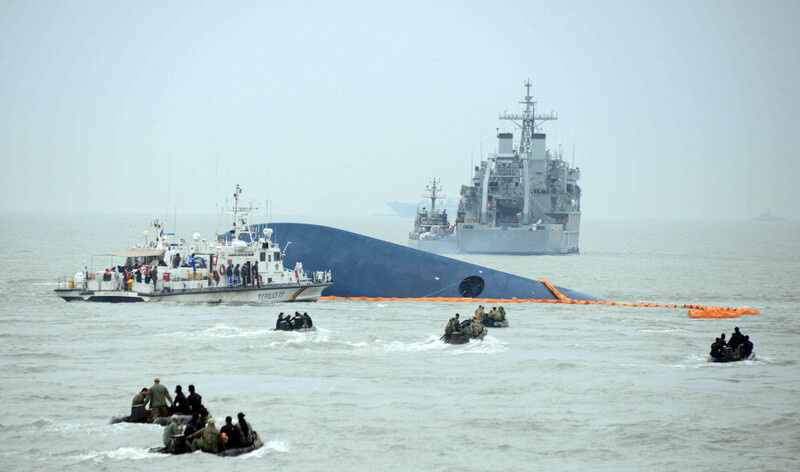 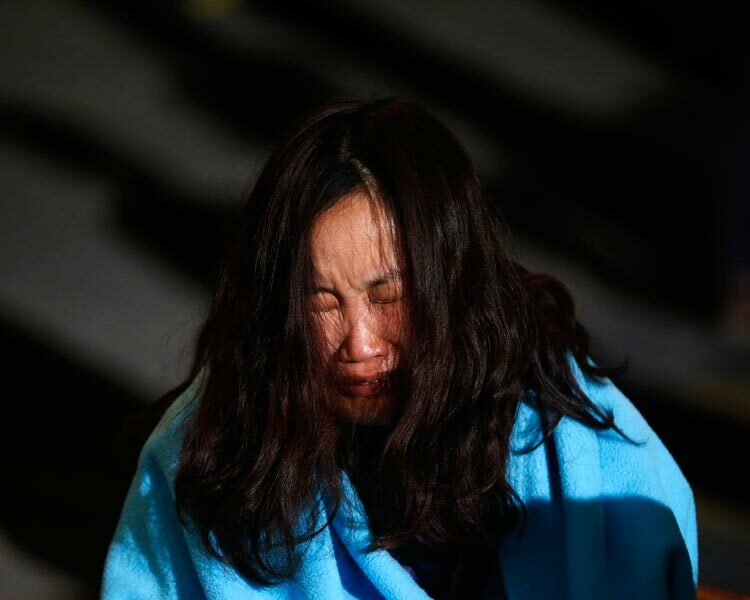 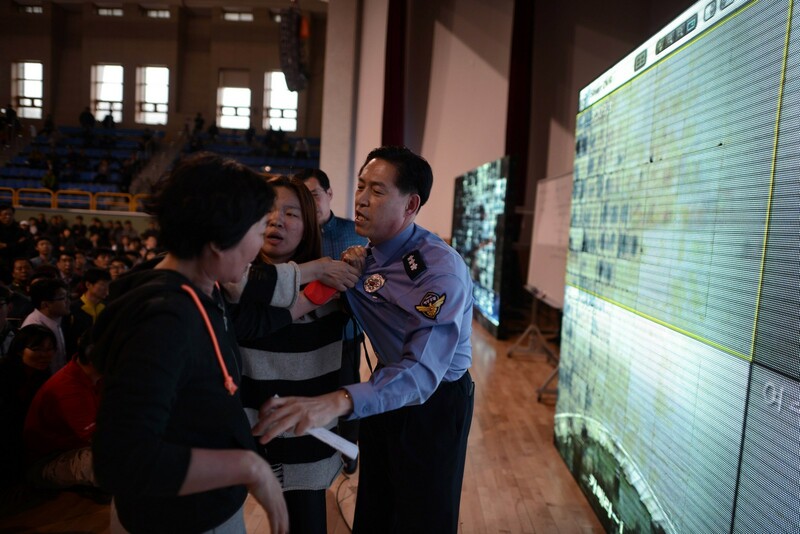 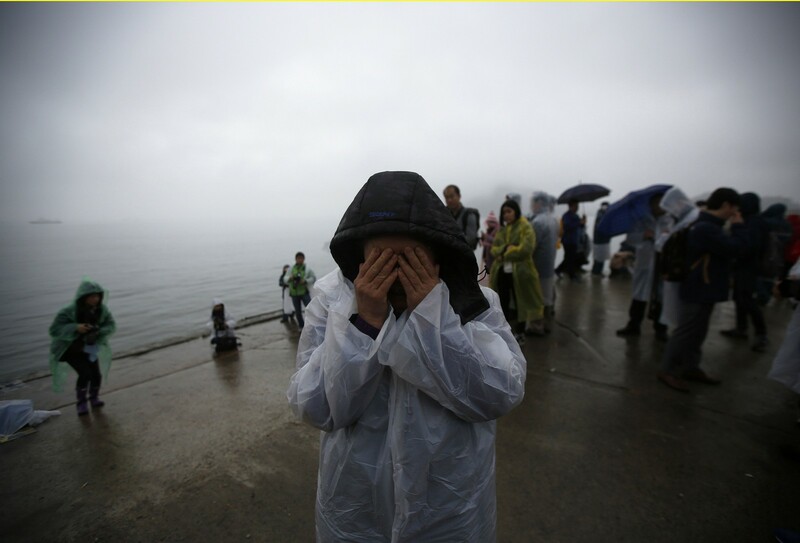 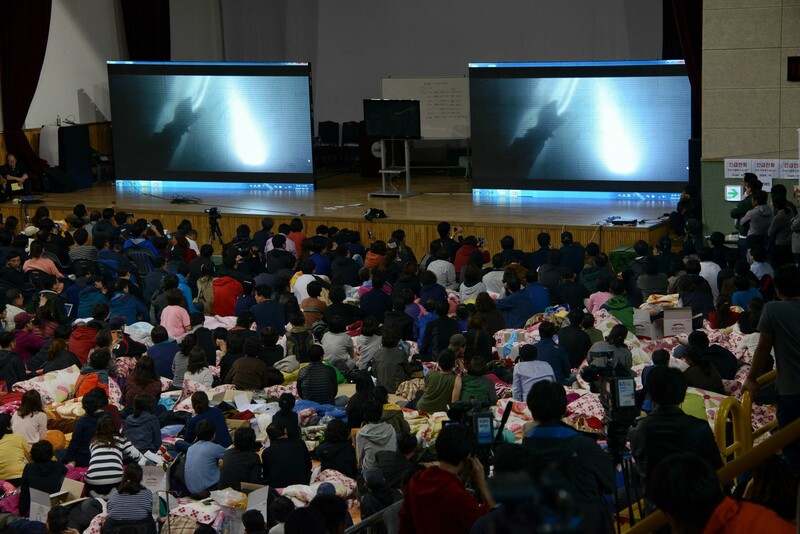 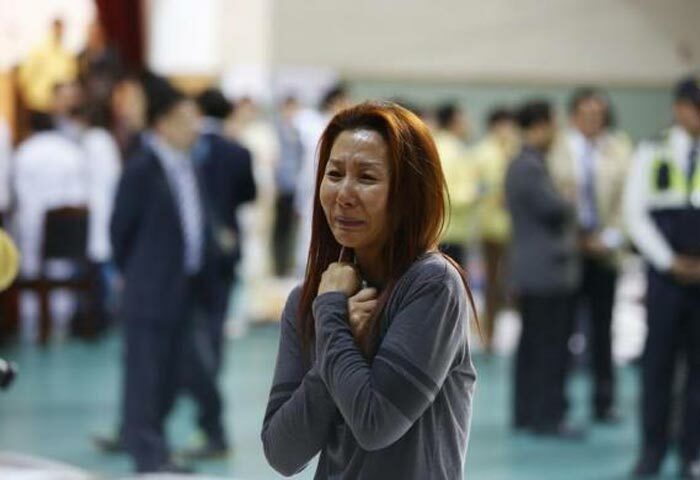 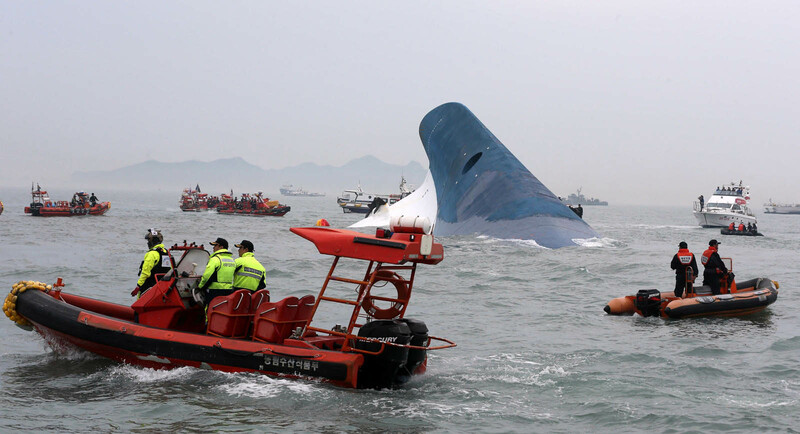 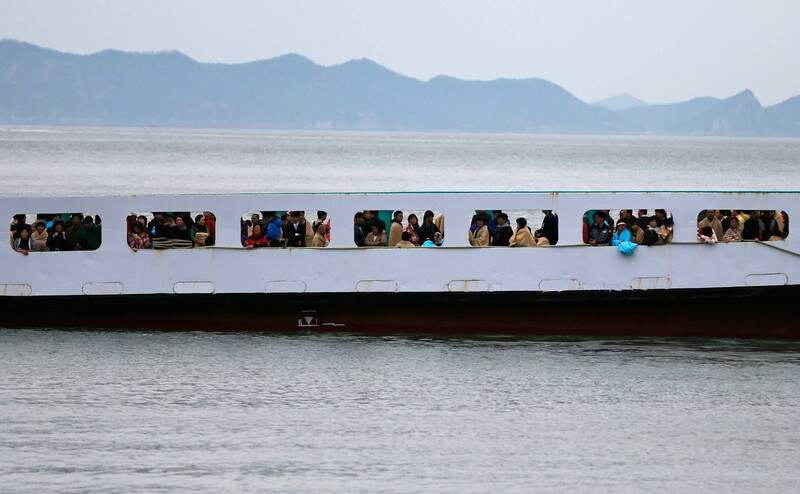 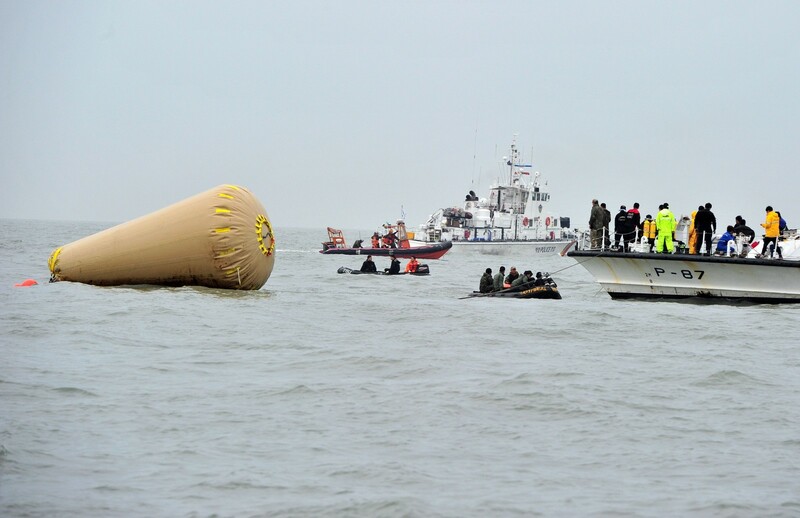 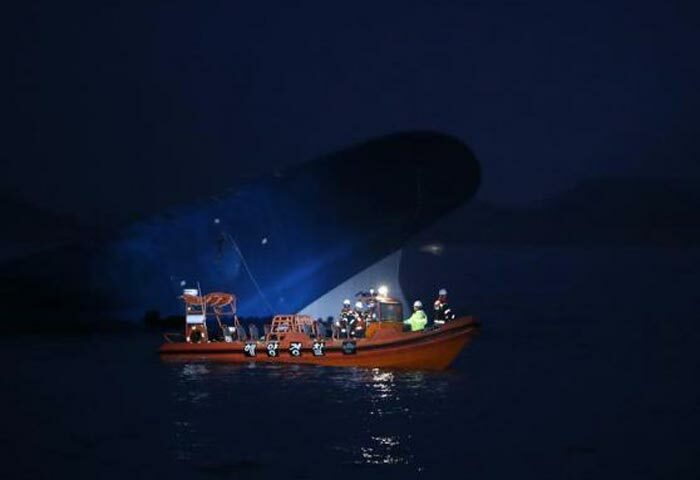 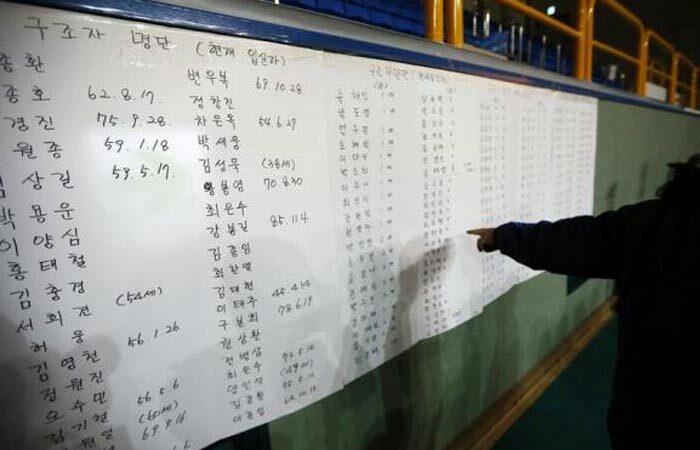 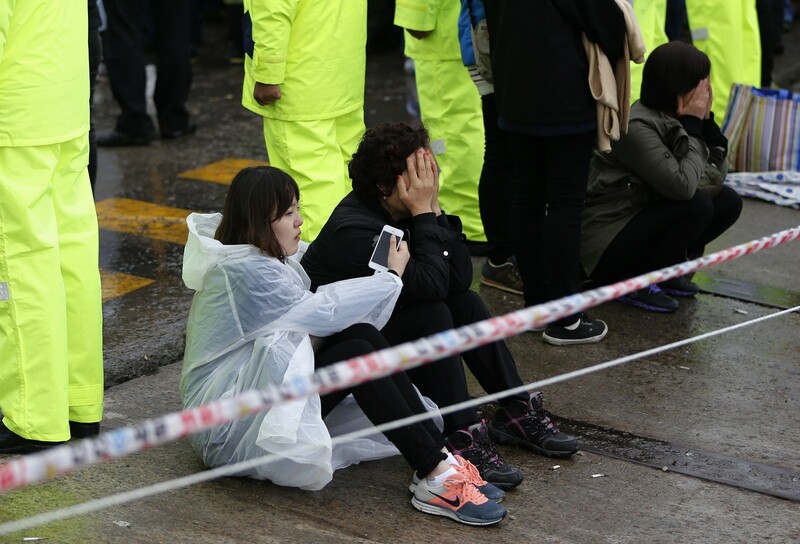 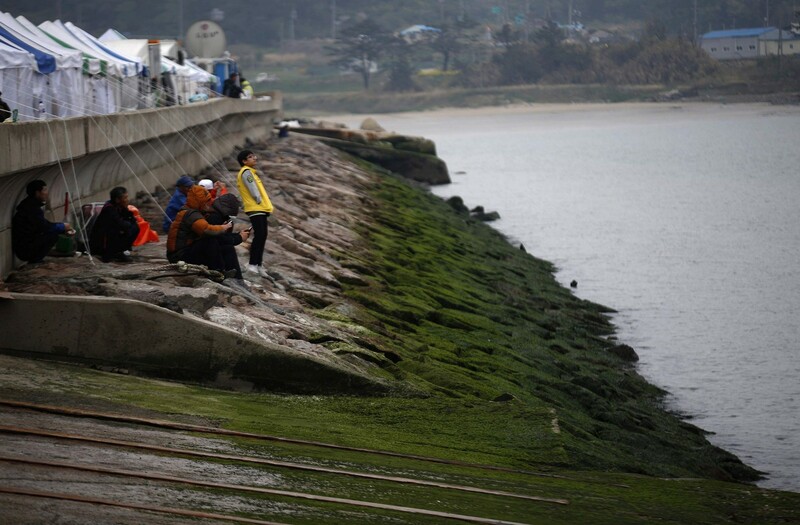 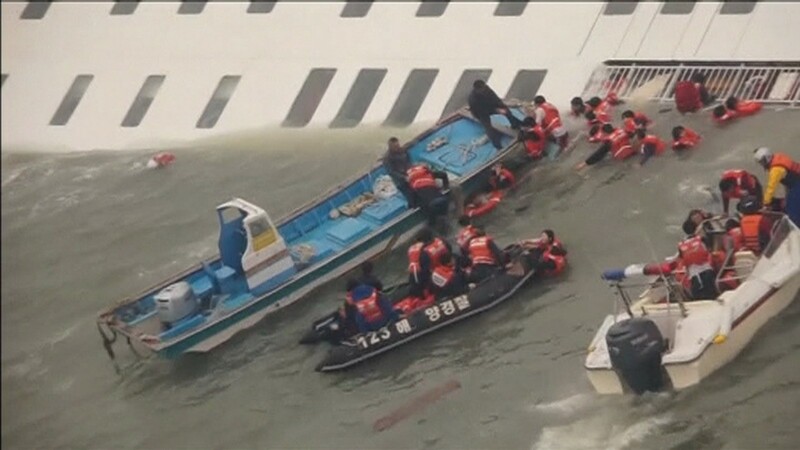 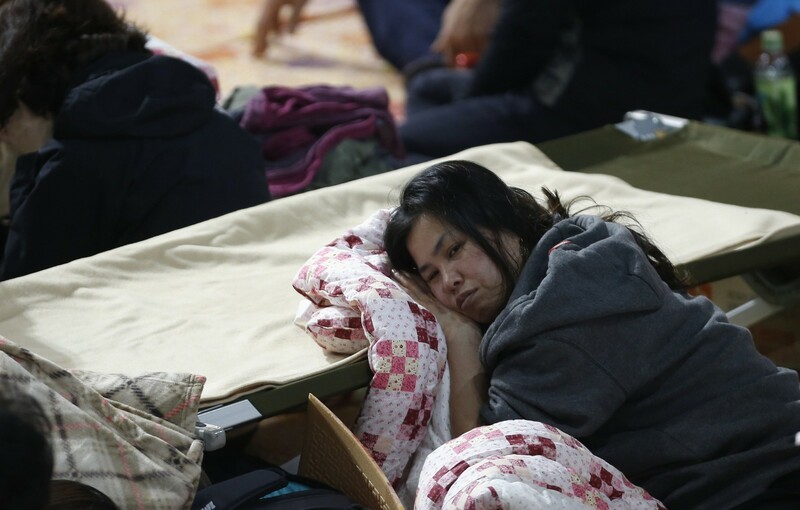 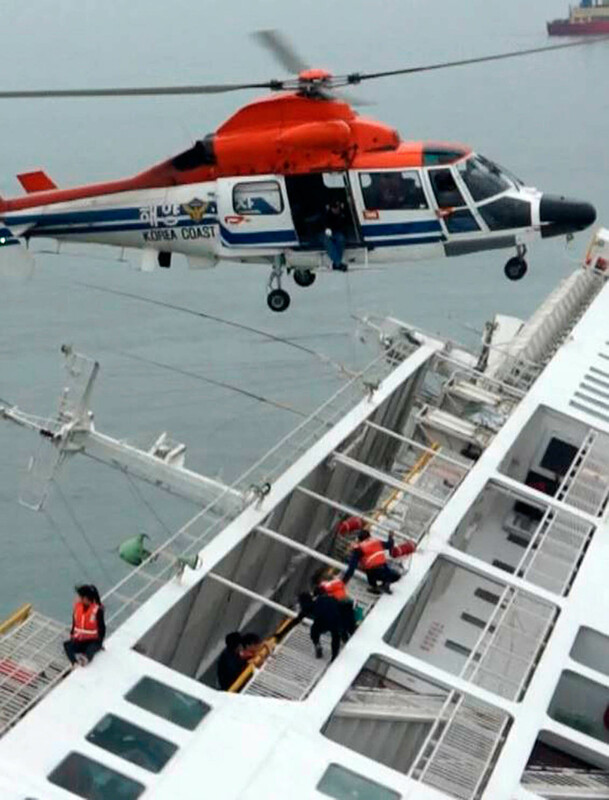 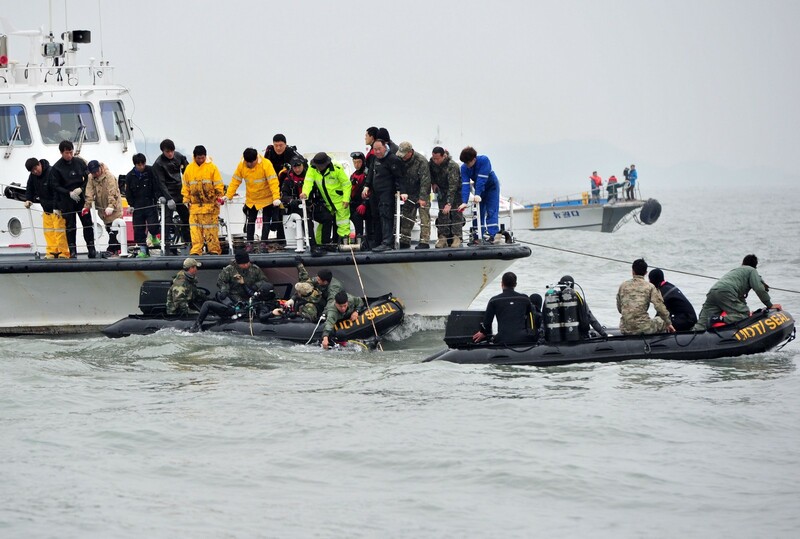 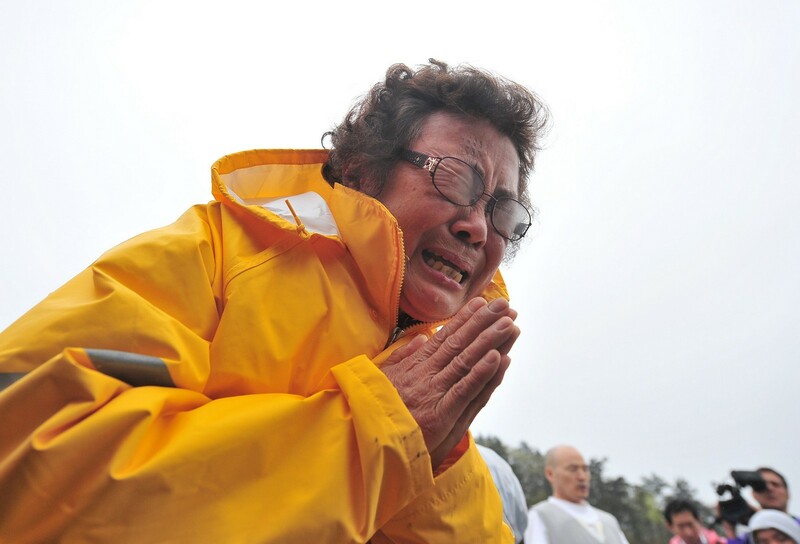 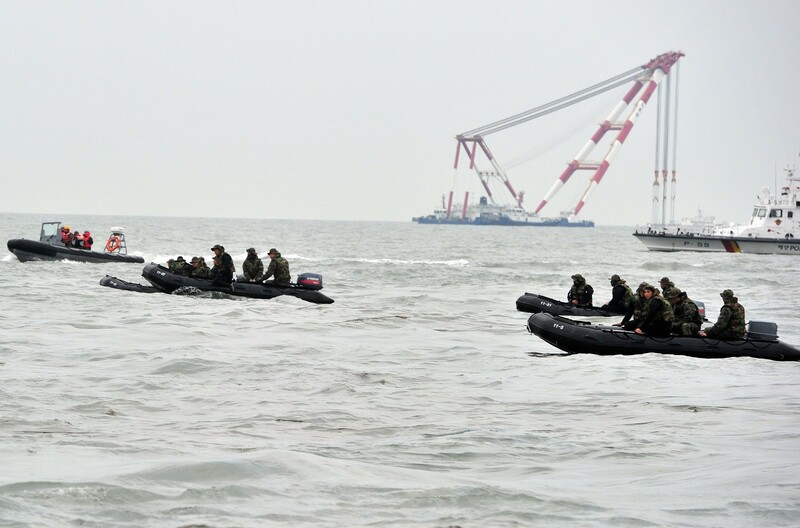 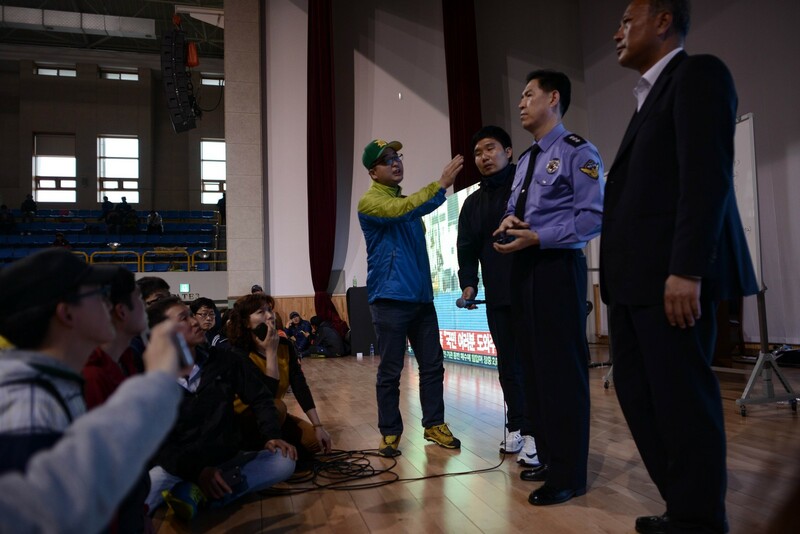 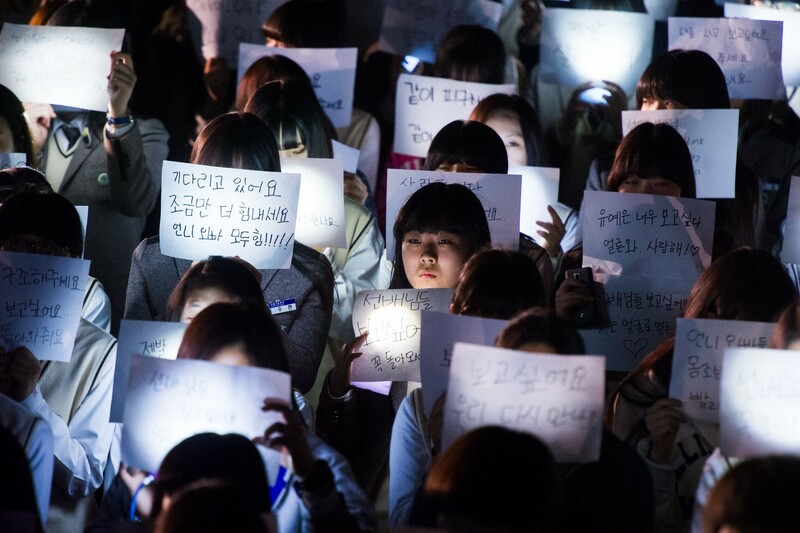 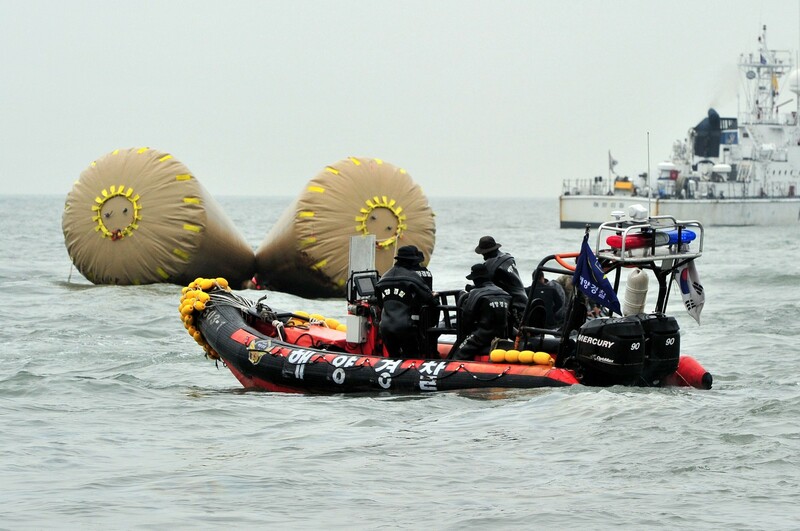 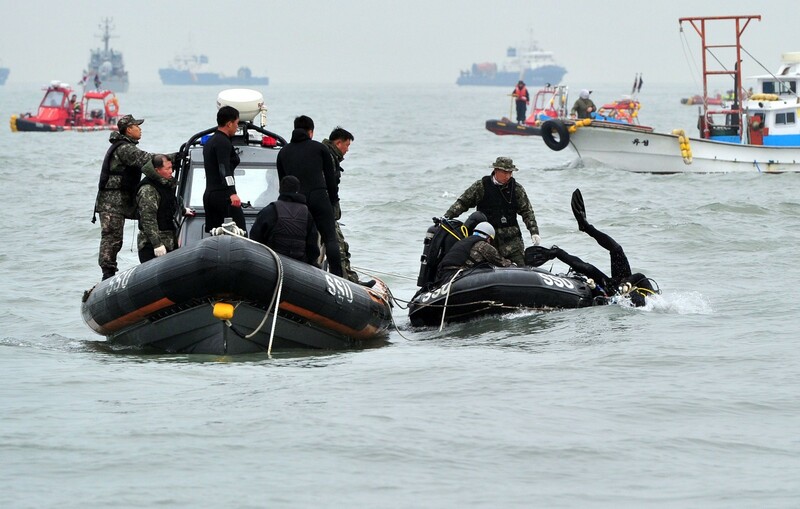 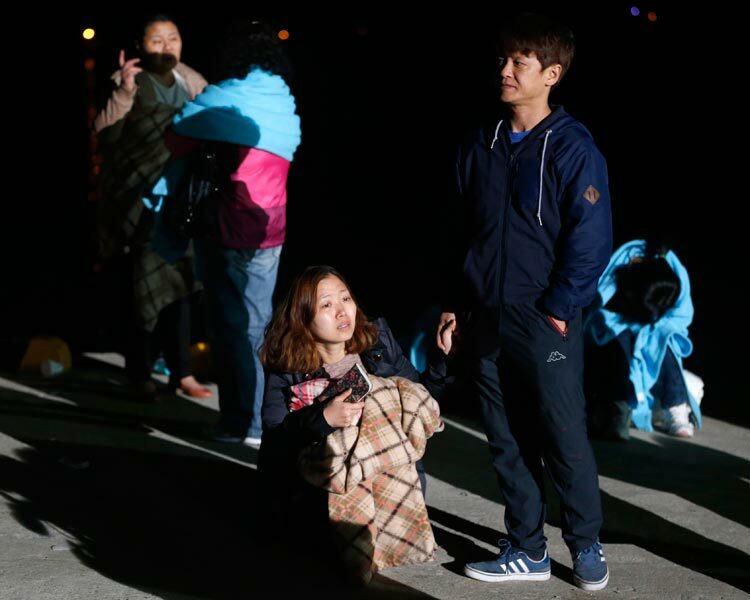 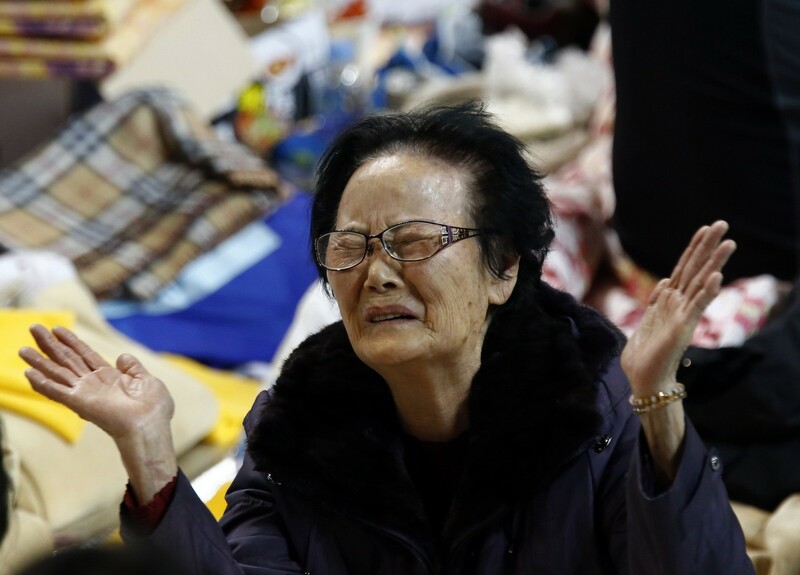 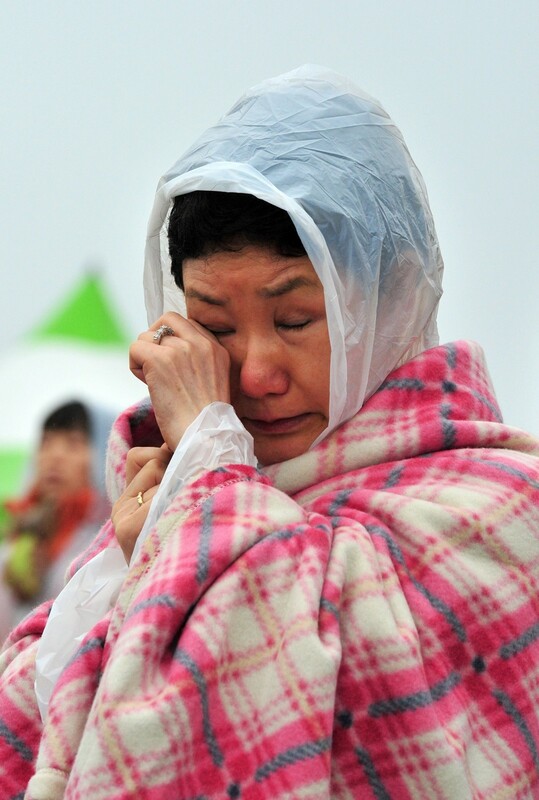 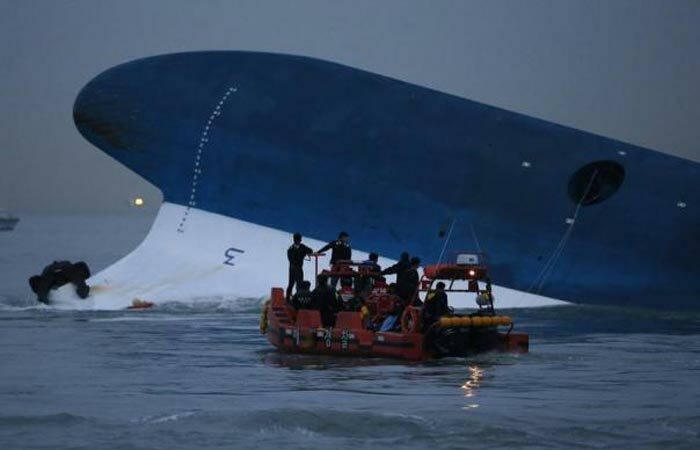 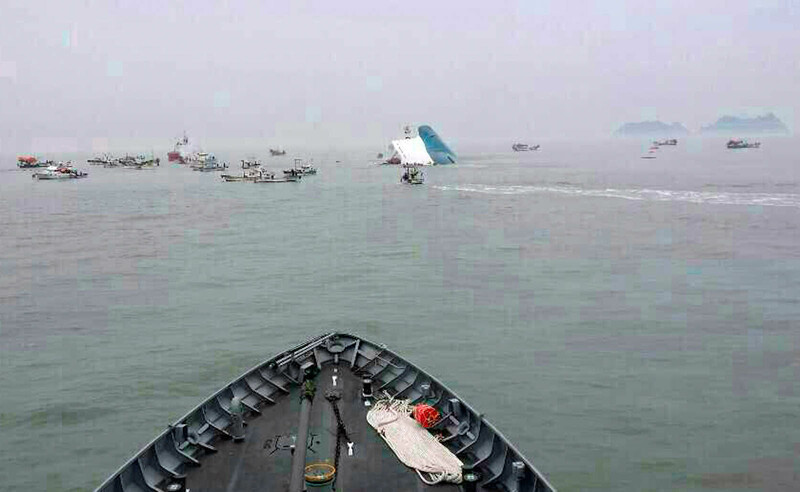 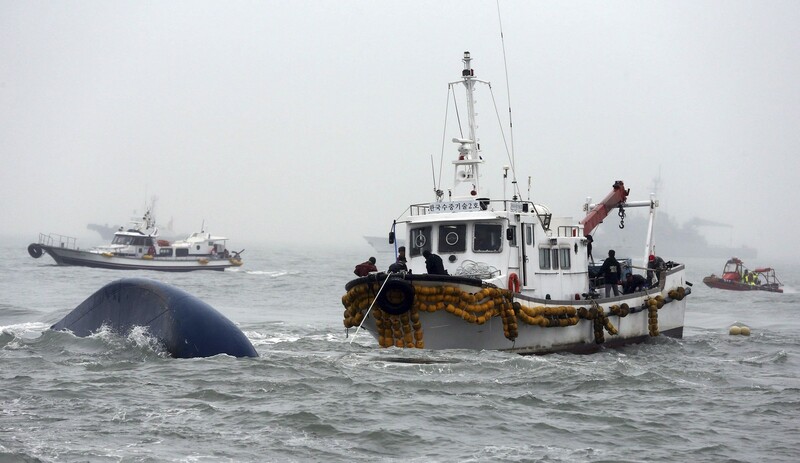 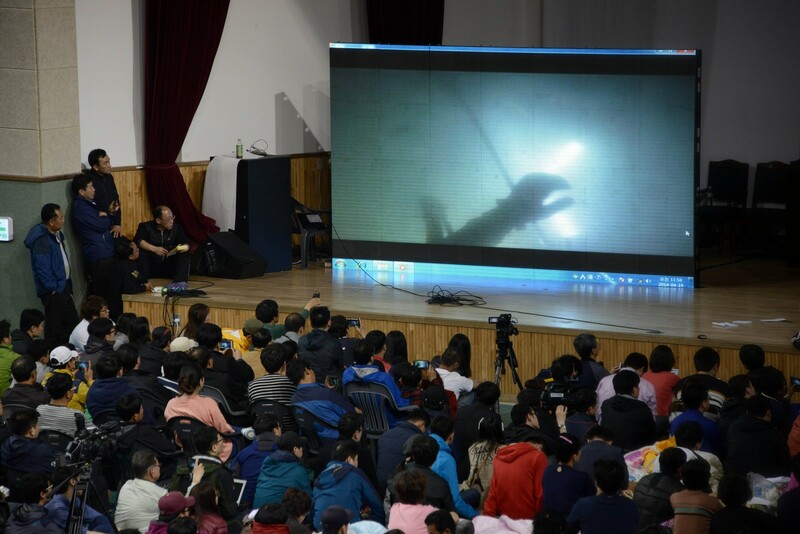 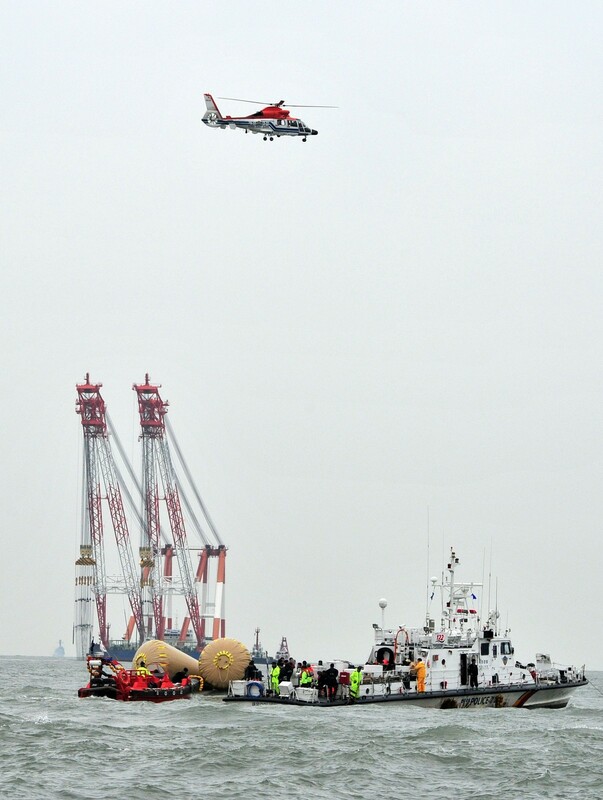 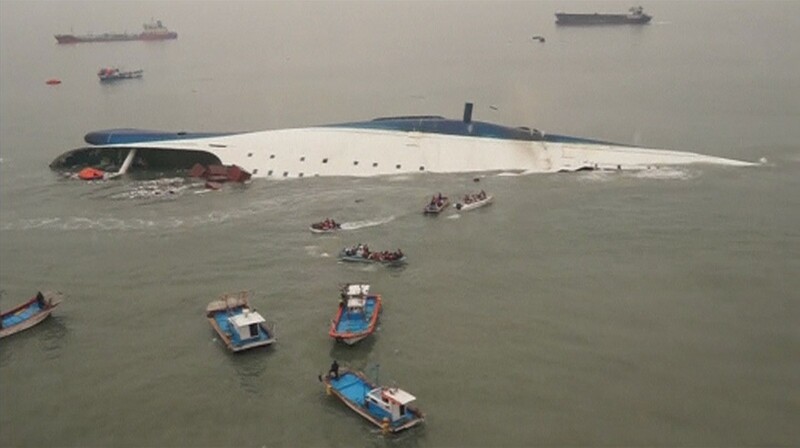 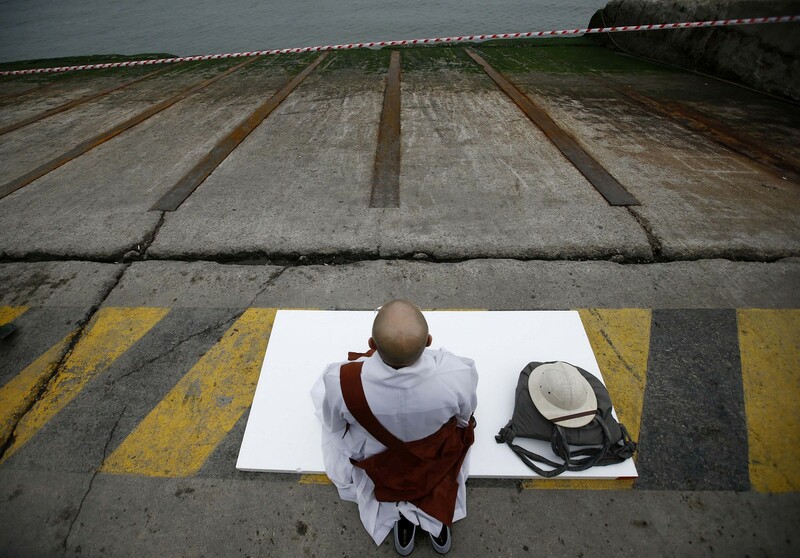 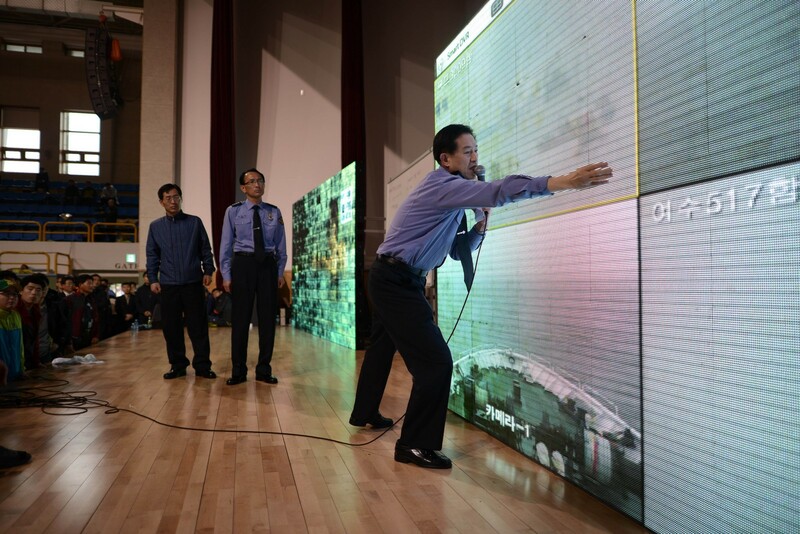 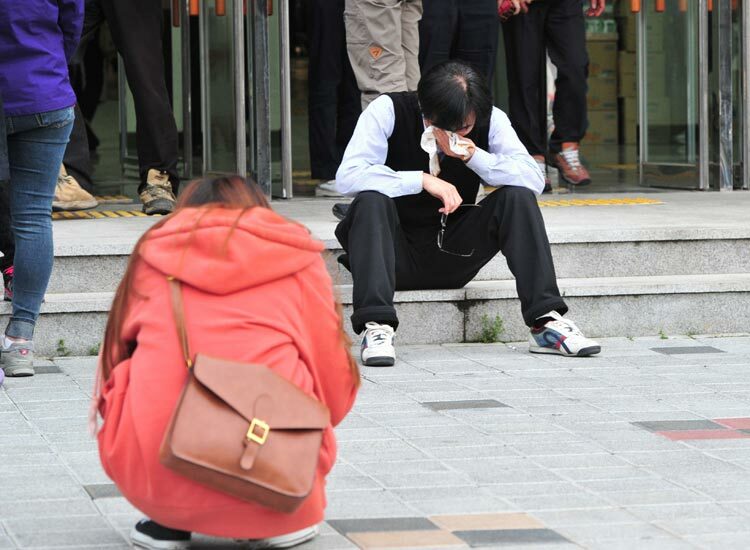 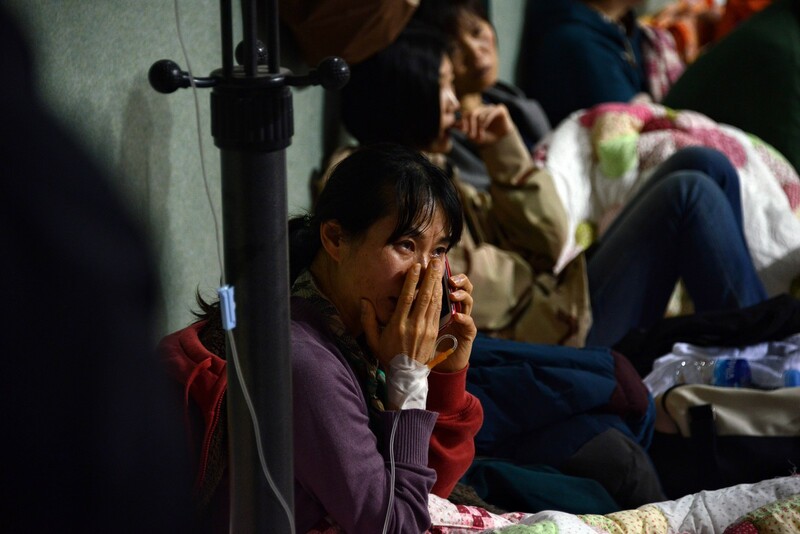 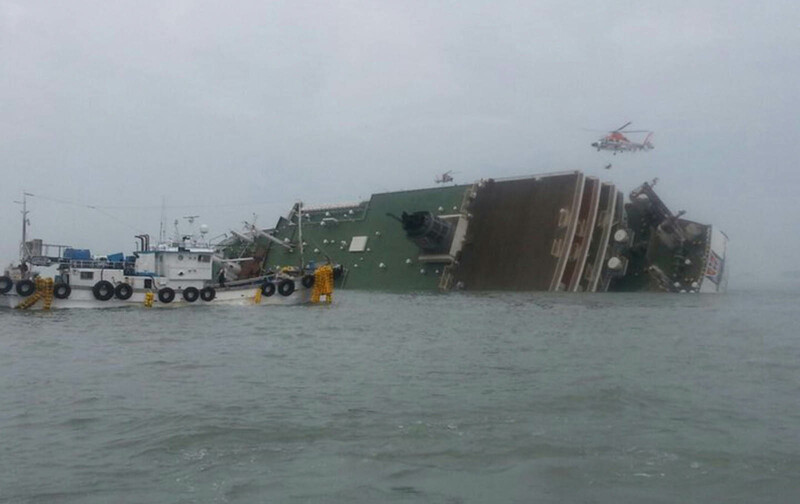 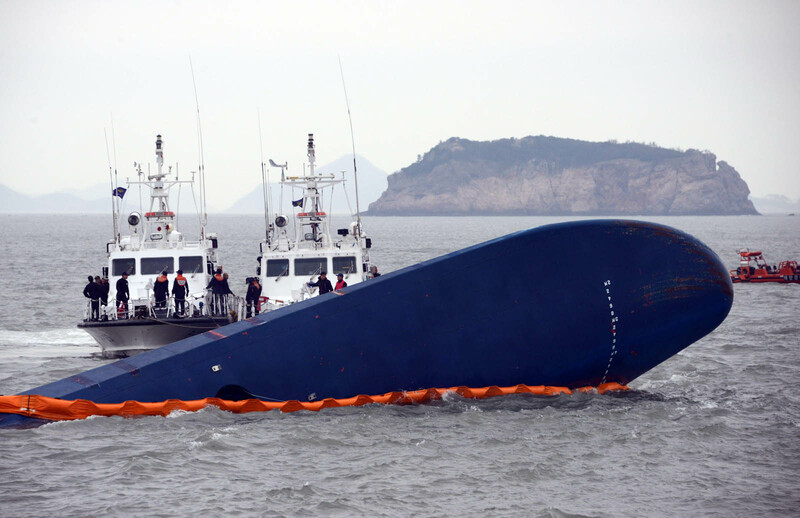 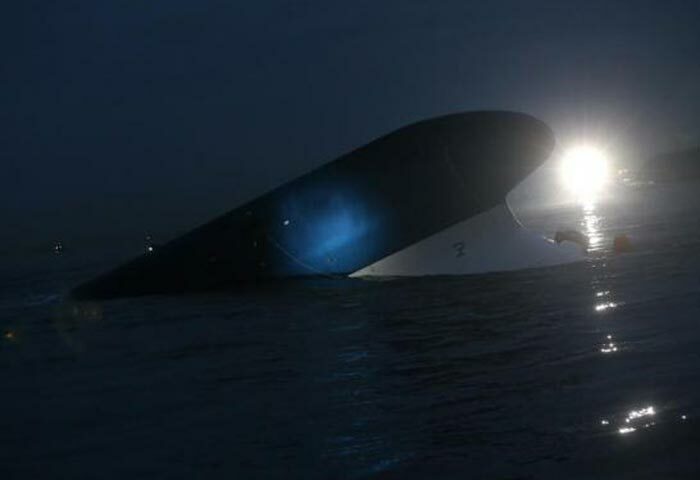 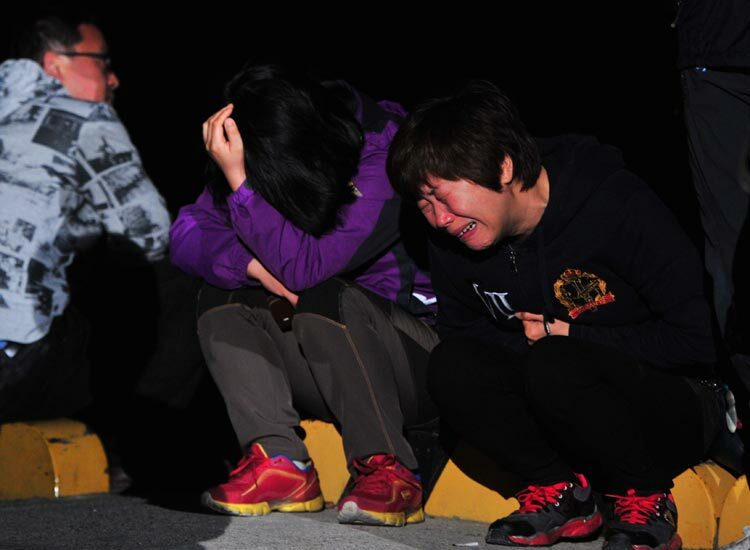 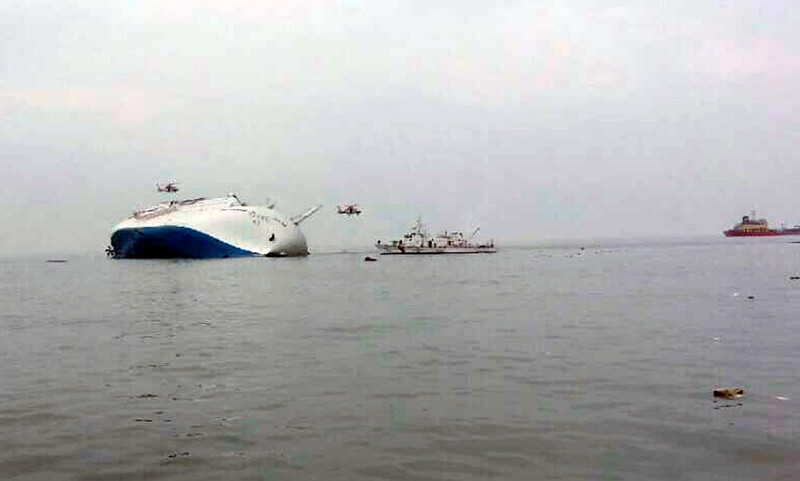 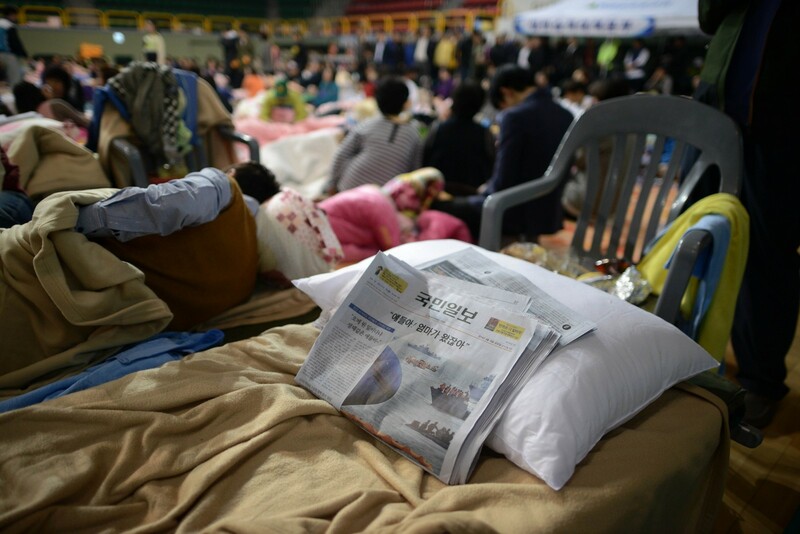 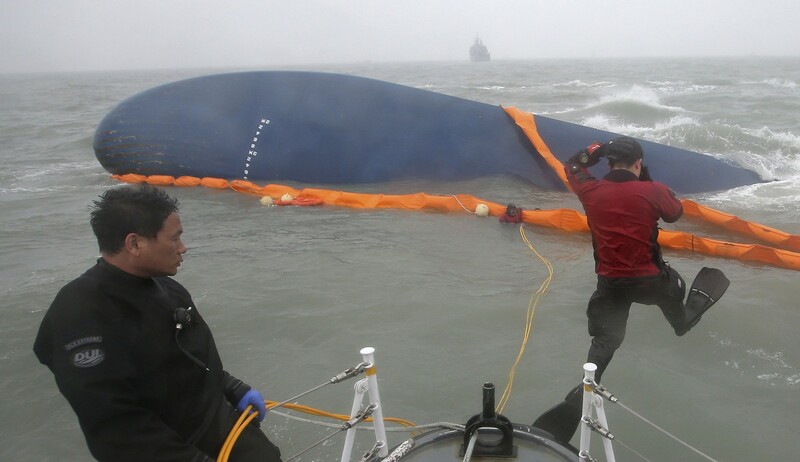 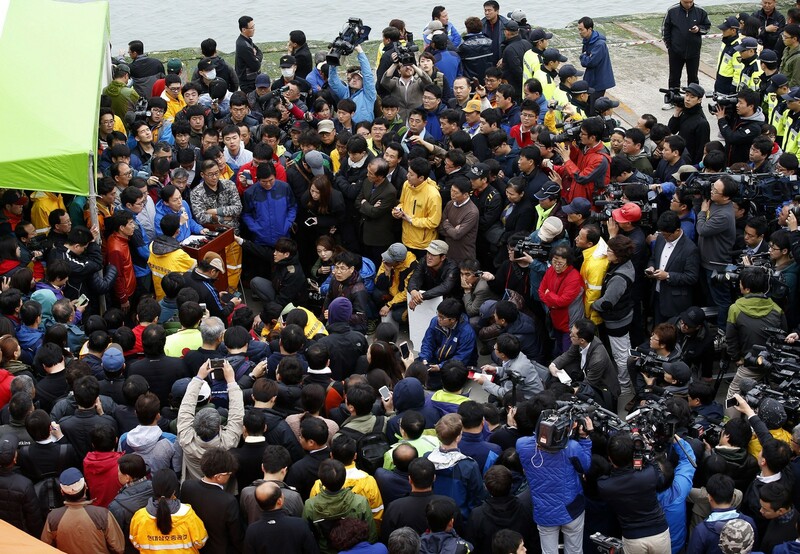 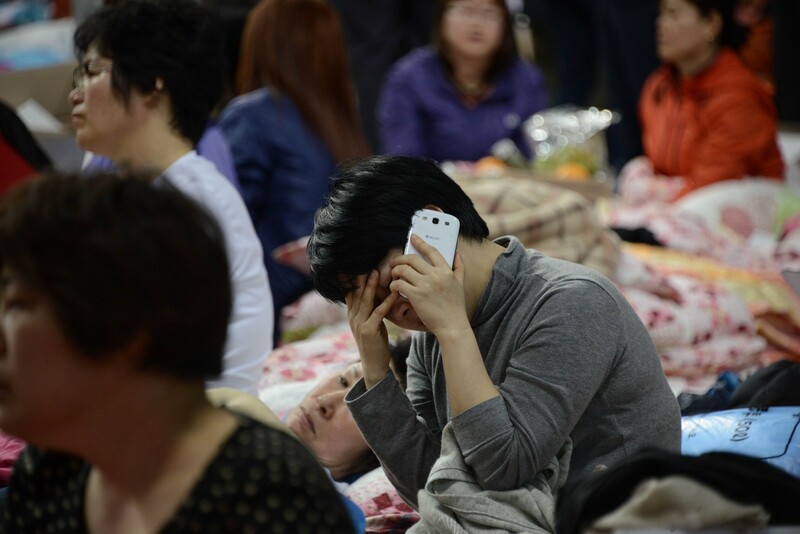 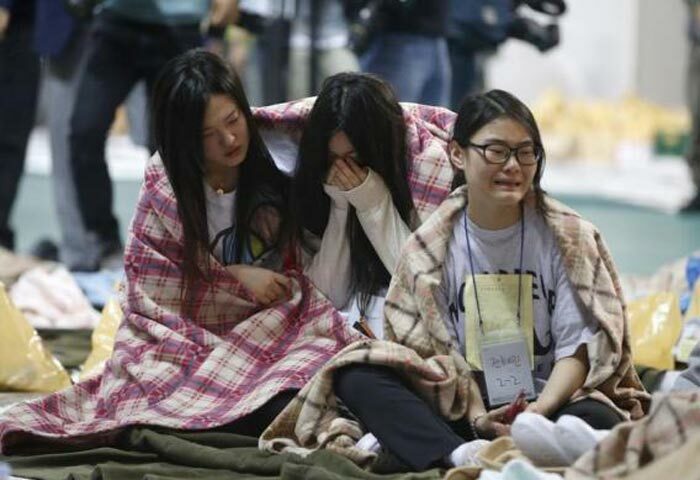 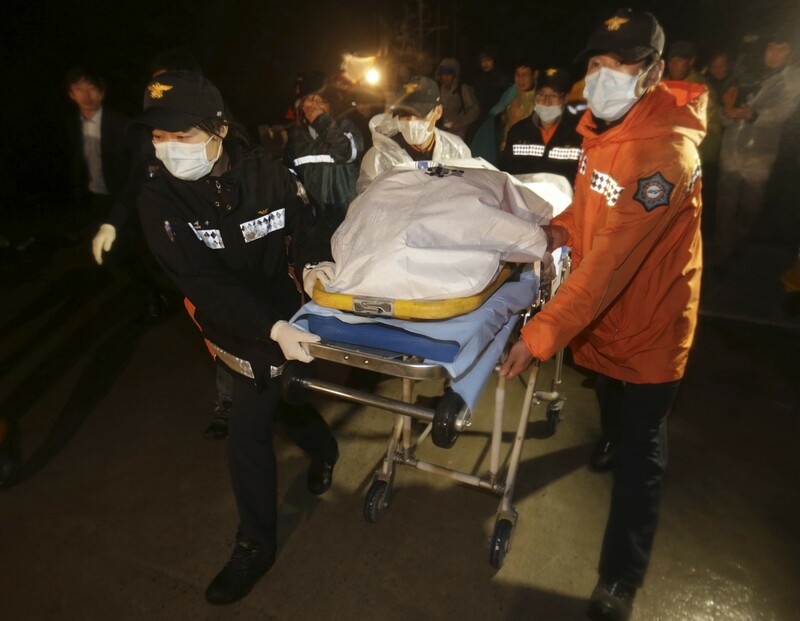 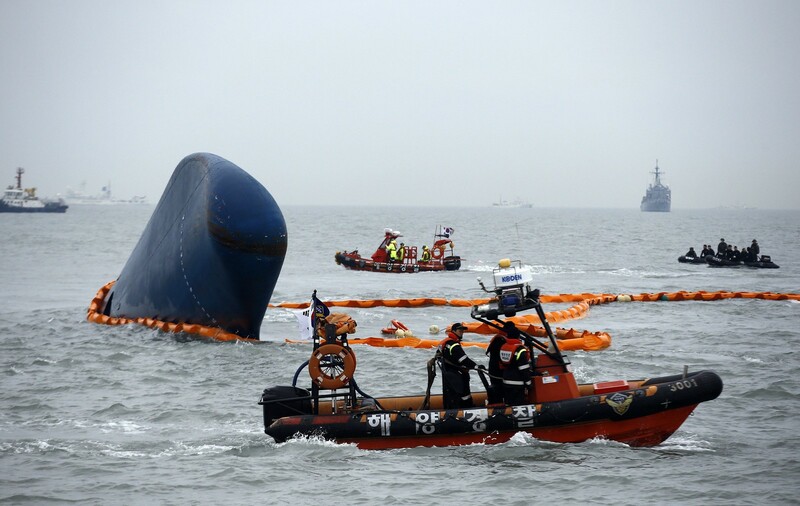 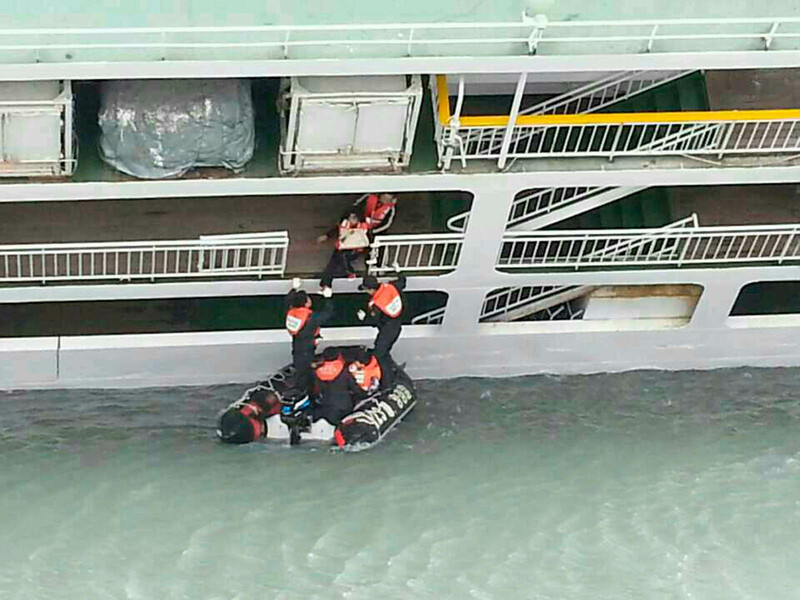 Prosecutors investigating the ferry crew members - 15 of whom are charged with negligence related to the April 16 sinking of the 6,800-tonne Sewol - said they had testified to having received no formal training on emergency evacuation. 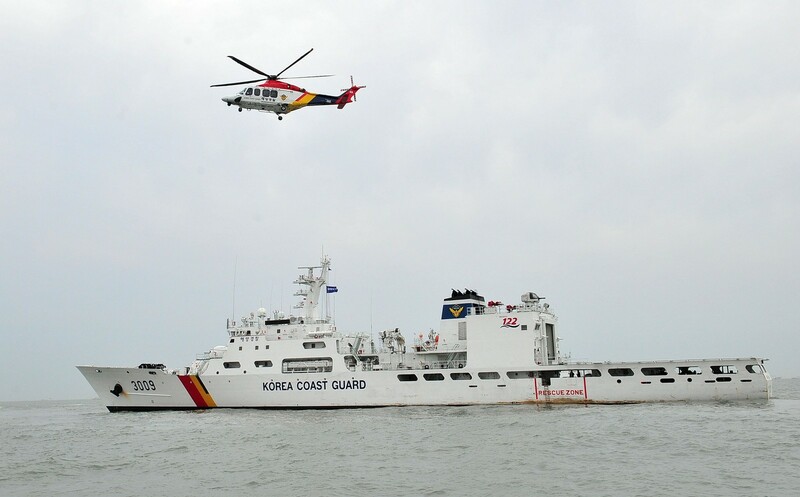 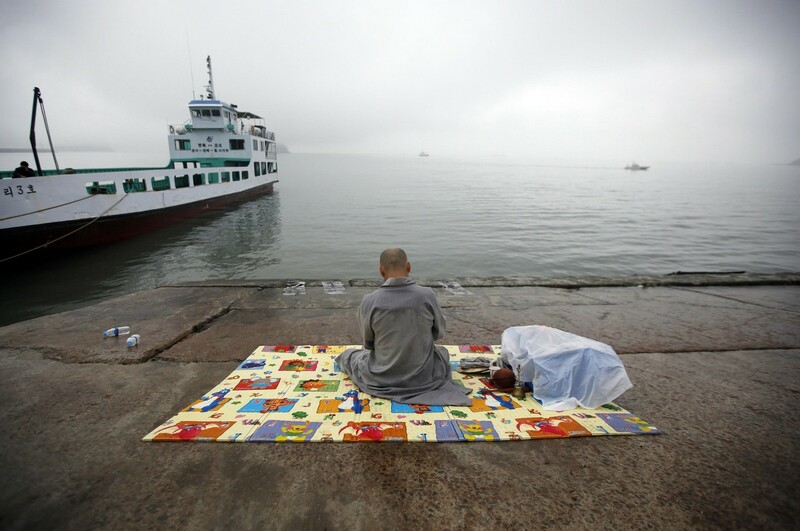 Since the KSA was founded, 10 of its 12 chairmen were former officials at the Maritime Ministry, as were eight of the dozen Korean Register chiefs since 1960. 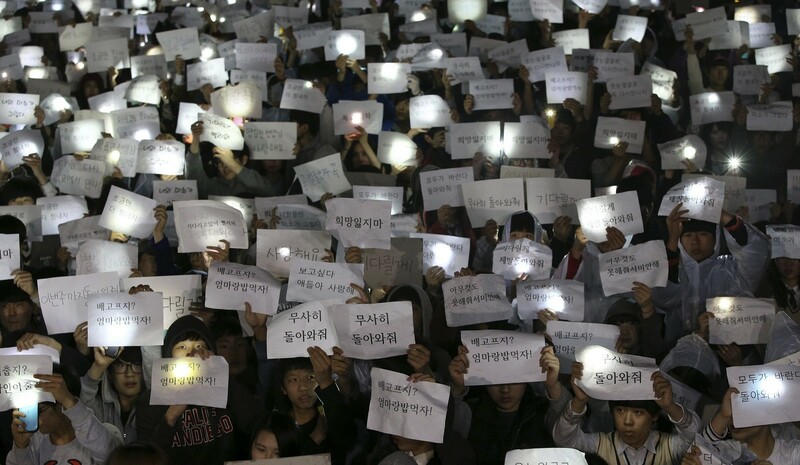 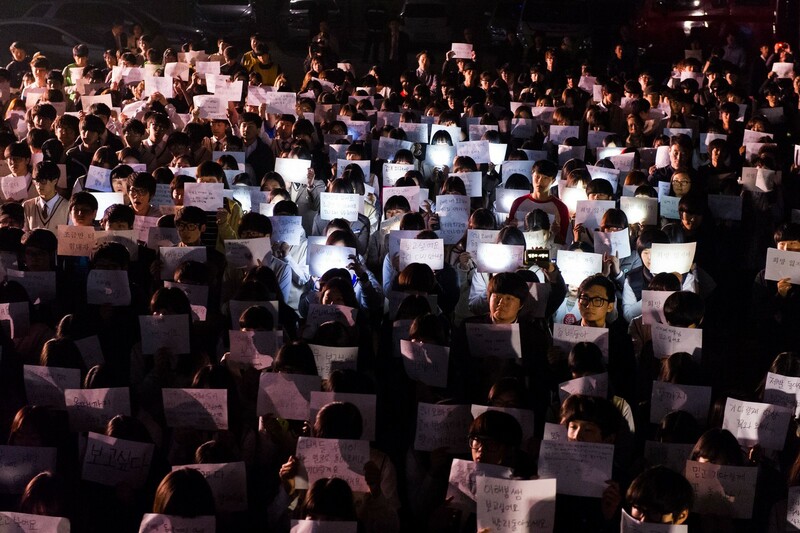 As tensions run high, many South Koreans are demanding change to the way the government and parts of society have conducted business for years on the basis of cosy personal ties rather than applying standards and objective oversight. 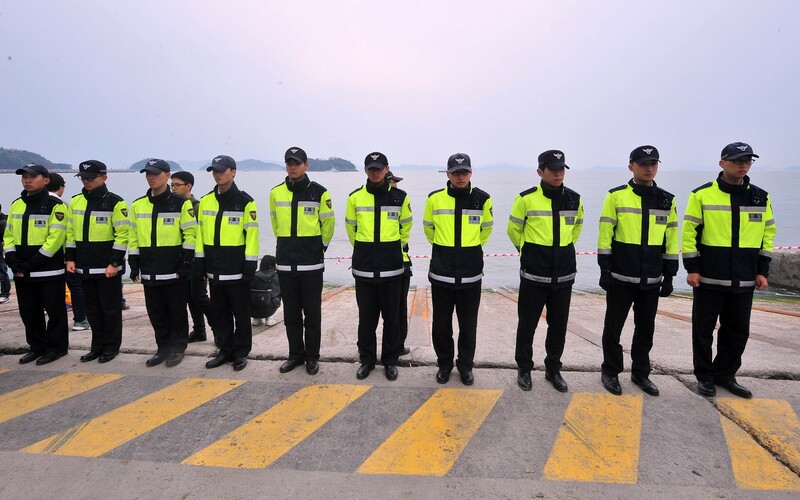 Local media have dubbed shipping industry officials and the government agencies that oversee them as a "maritime mafia", guarding relationships built up over decades to guarantee jobs for each other and turn a blind eye to negligence. 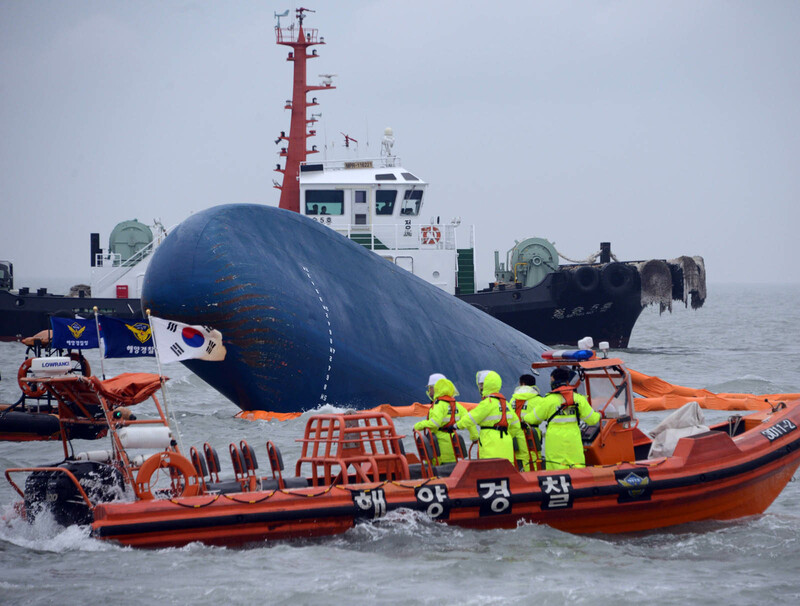 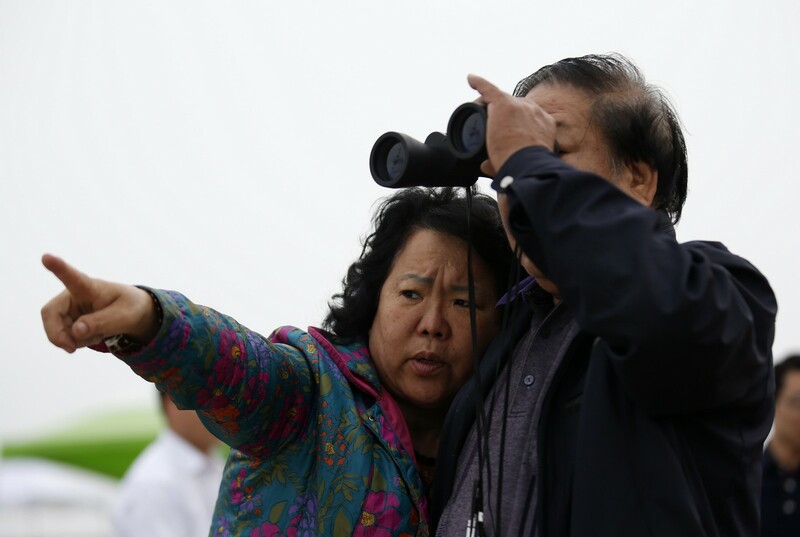 This potential conflict of interest has fed a culture where safety can be overlooked, and where corners are cut to get things done quickly and to maximise profit, say experts and officials, including South Korean President Park Geun-hye. 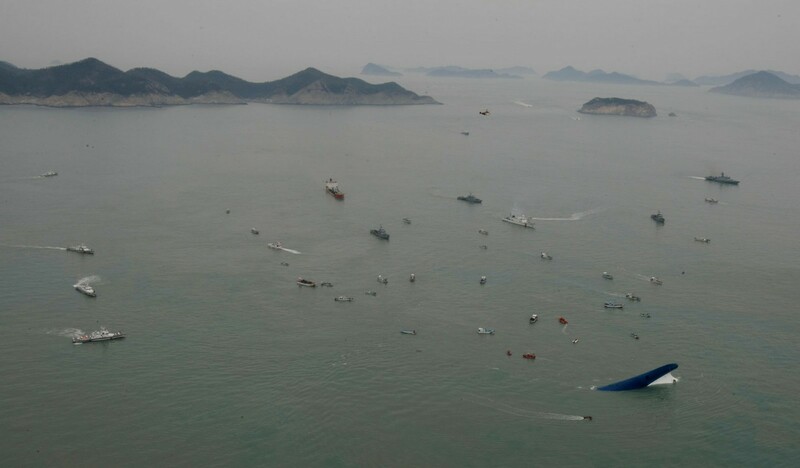 The practice of trade groups filled with former government officials who retired from oversight posts has been central to previous scandals in South Korea - such as the discovery of widespread forgery of safety certificates for parts for nuclear plants that provide about a third of the country's power. 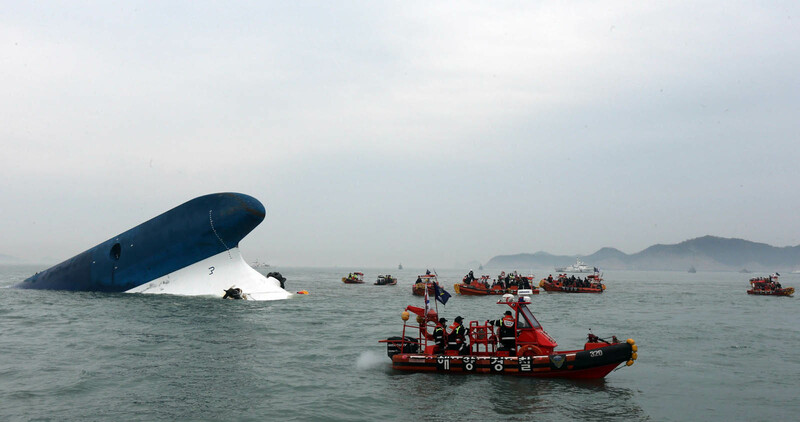 Similar lax oversight has resulted in questionable decisions in the banking and insurance sector, construction and government procurement. 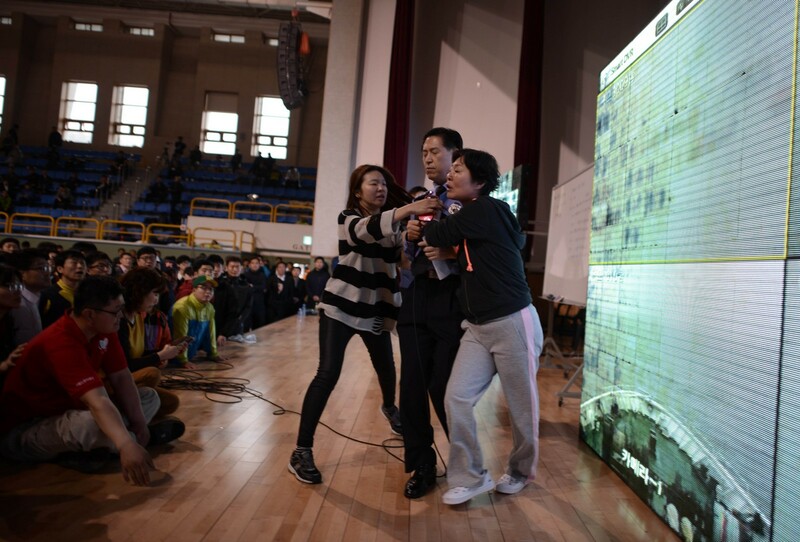 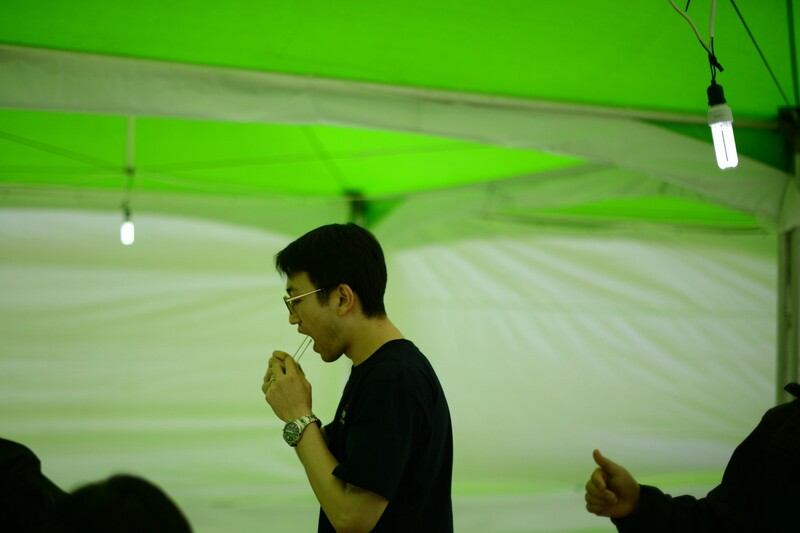 "It's hard to stop," said Kwon Oh-in from the civic group Citizens' Coalition for Economic Justice, which researches corruption and irregularities in government and big business. 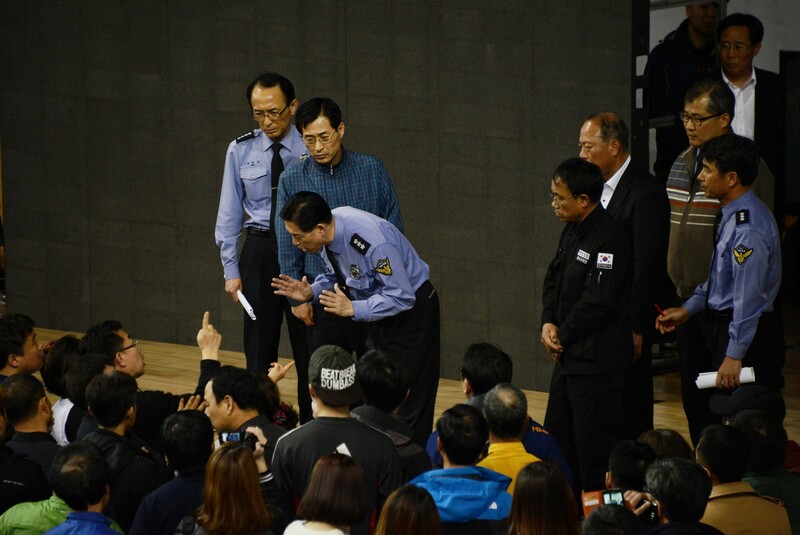 "The biggest problem is government officials turning into lobbyists working for industry trade groups," he said. 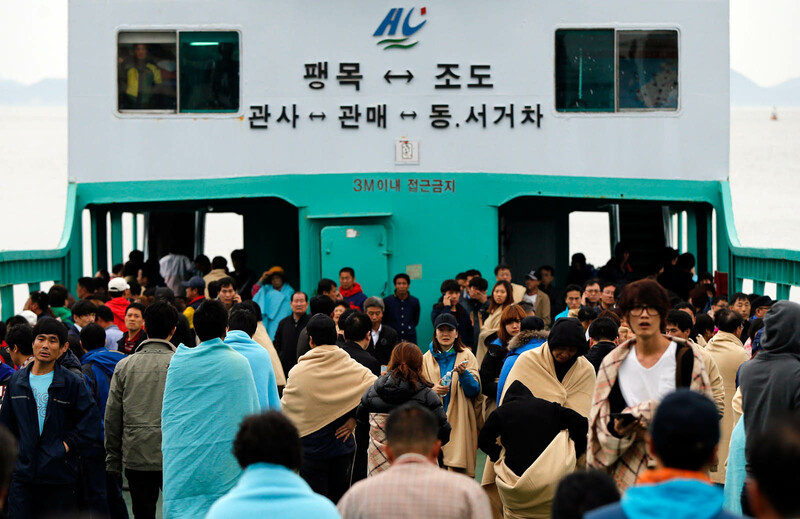 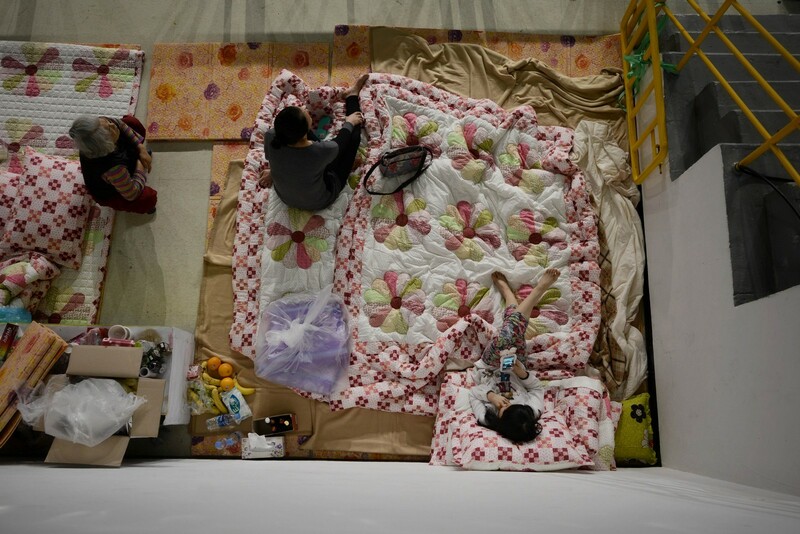 "It's been going on for decades since South Korea experienced economic development and growth."